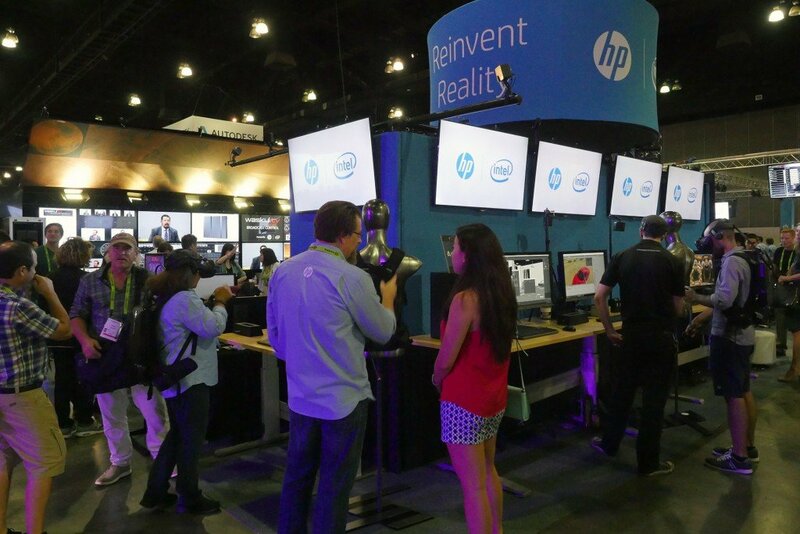 Real-time graphics powered by Ventuz running on Z by HP workstations and NVIDIA GPUs. 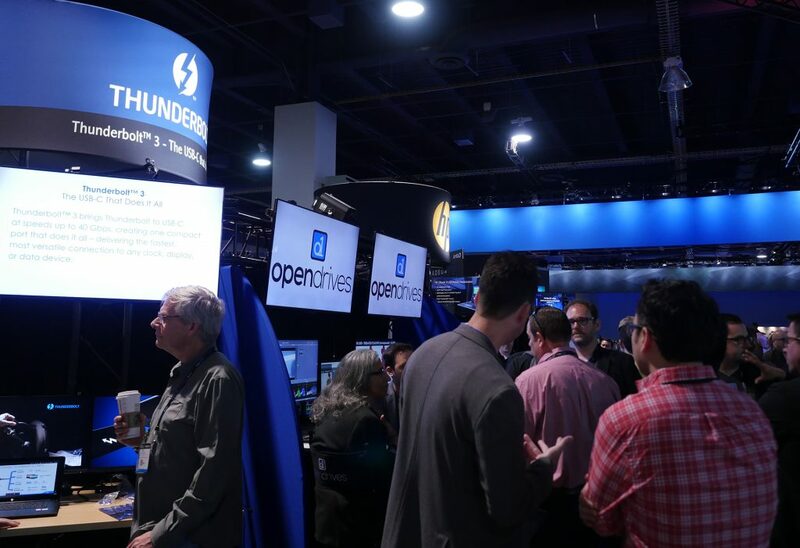 Stop by and learn how you can unleash your creative potential with the innovative solutions we’ll be showcasing in StudioXperience at NAB Show. 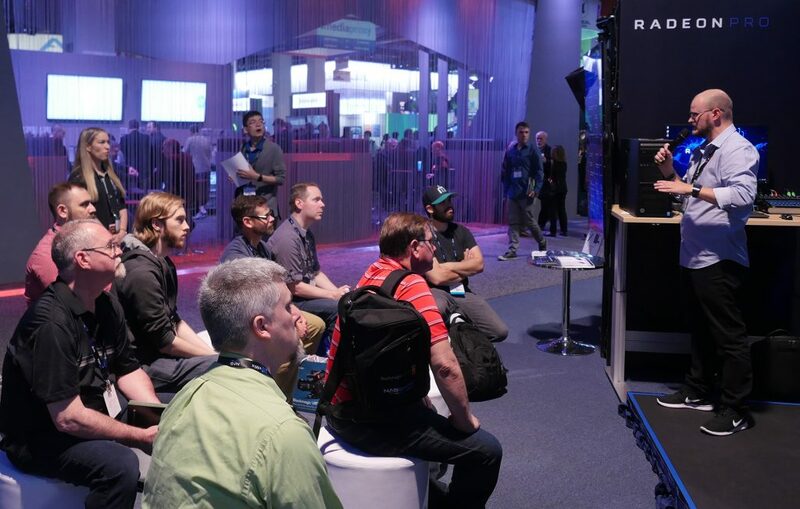 In addition to our 4K 60p Virtual set workflow you’ll find many technology demonstrations staffed by industry experts who will engage with you and help you find ways to improve your workflows and provide you with new capabilities. 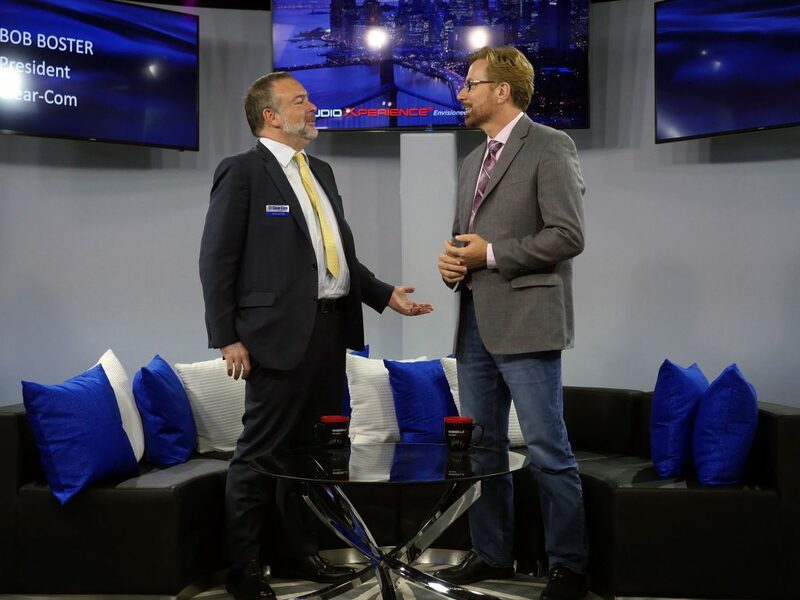 During NAB Show, StudioXperience will also play host to visionaries, industry leaders, creative professionals, and a wide range of interesting and talented people who join Waskul Entertainment’s CEO, Steve Waskul, for long-format, wide-ranging, unscripted conversations that are streamed live on Waskul.TV. Here’s a link to our schedule ofMaster Classes and Featured Interviews that you can attend at the show. StudioXperience is Waskul Entertainment’s state-of-the-art broadcast studio and technology showcase. It has appeared as a featured venue at events in North America, Europe and Asia. StudioXperience leverages Waskul Entertainment’s significant relationships with a wide range of companies from industry titans to small software developers across the globe. Many consider StudioXperience to be one of the finest “real-world content production test laboratories”. 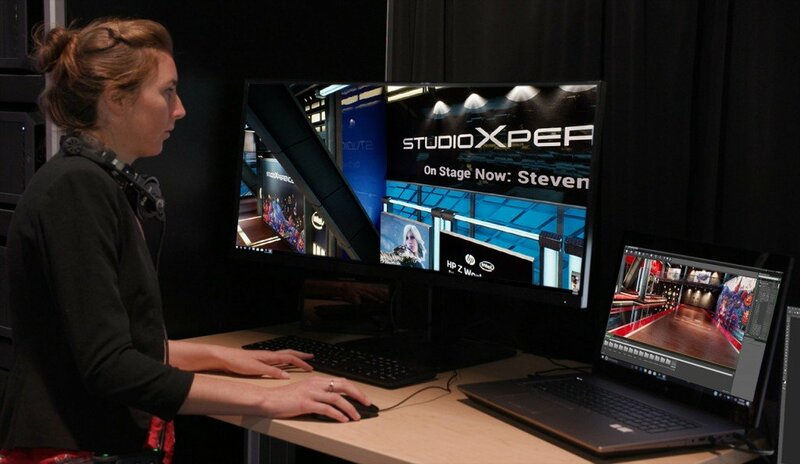 New technologies are constantly integrated into and showcased in the StudioXperience live, “mission-critical” environment. StudioXperience has served as the home for major product launches from some of the world’s best known technology brands. 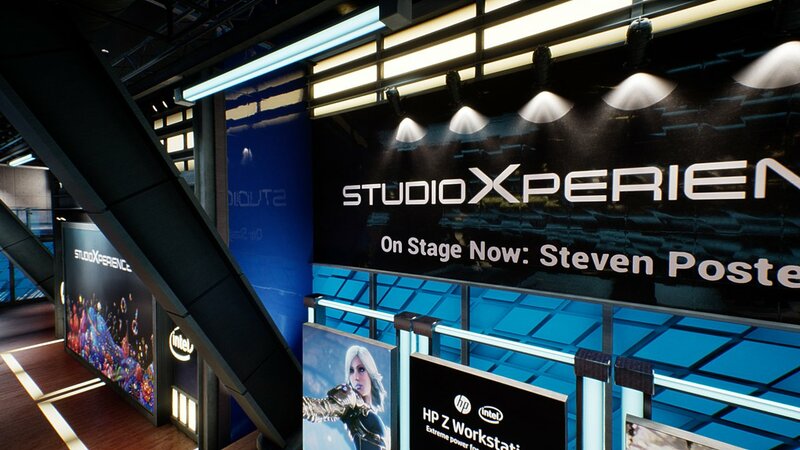 StudioXperience workflows are powered by Z by HP Workstations with Intel® Xeon® processors and NVIDIA GPUs. 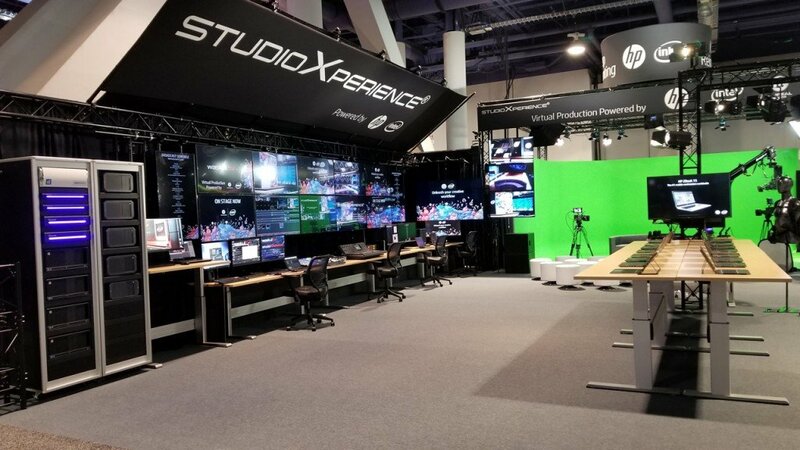 StudioXperience features a range of production pipelines giving our team interconnected IP, SDI and 4K UHD live production capabilities. One of the primary goals of StudioXperience is to help organizations unleash their creative potential by transferring the knowledge and experience we’ve gained working for more than two decades with some of the finest hardware and software tools available. 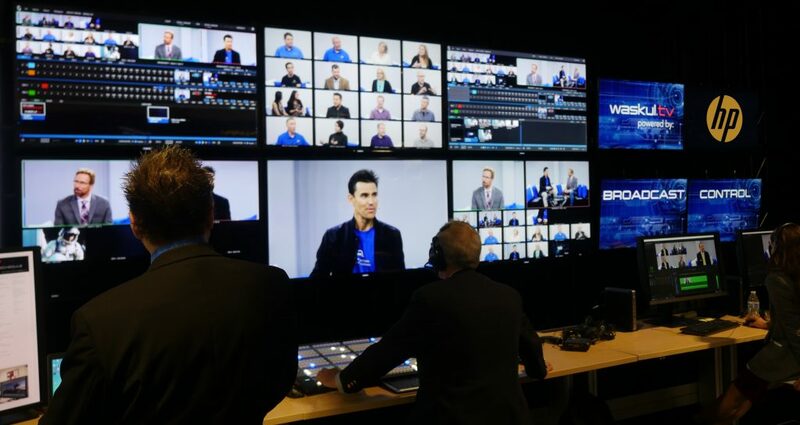 To that end, visitors to StudioXperience during a live appearance will find innovative technology demonstrations staffed by industry experts who will engage with them and discuss solutions that can improve their workflows and provide new capabilities. During live appearances StudioXperience also plays host to visionaries, industry leaders, creative professionals, scientists, and a wide range of interesting and talented people who join Waskul Entertainment’s CEO, Steve Waskul, for long-format, wide-ranging, unscripted conversations that are streamed live on Waskul.TV. 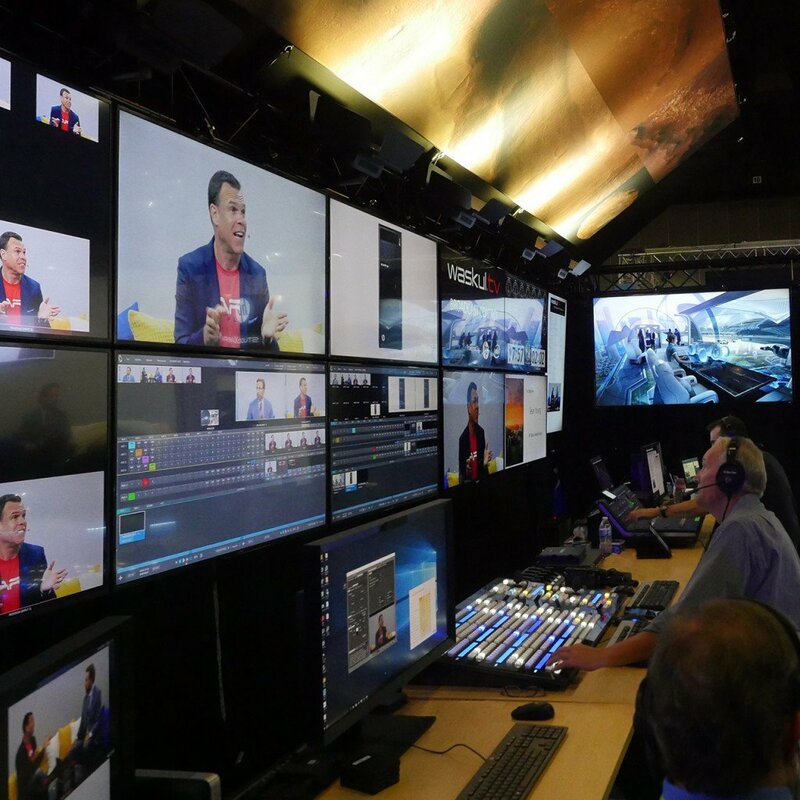 The Waskul.TV Virtual Set used at SIGGRAPH 2018 was ground-breaking with the first 4K 60p live broadcast using virtual sets powered by Epic's Unreal Engine. 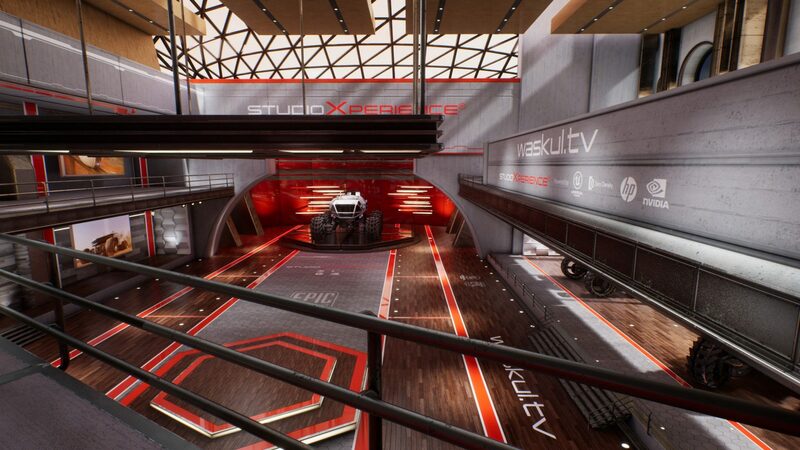 StudioXperience makes history at SIGGRAPH 2018 with 4K 60p Unreal Engine powered virtual sets! 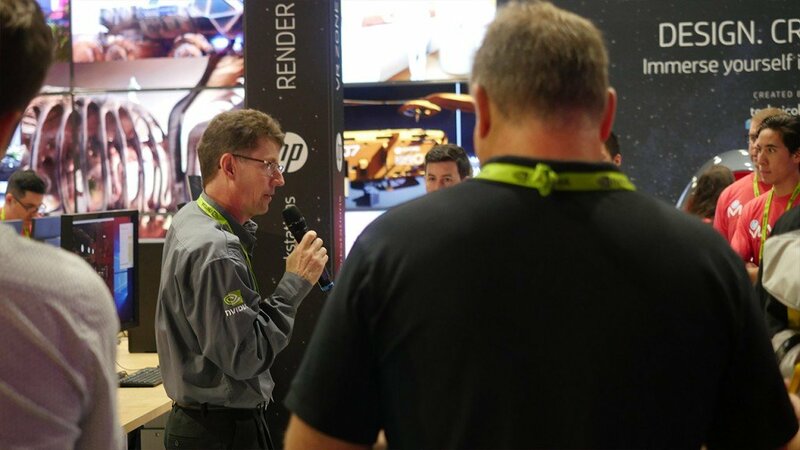 Waskul.TV and our partners made history in the SIGGRAPH 2018 StudioXperience powered by HP and NVIDIA with the world’s first 4K 60p virtual sets powered by Epic’s Unreal Engine and Zero Density’s Reality software. 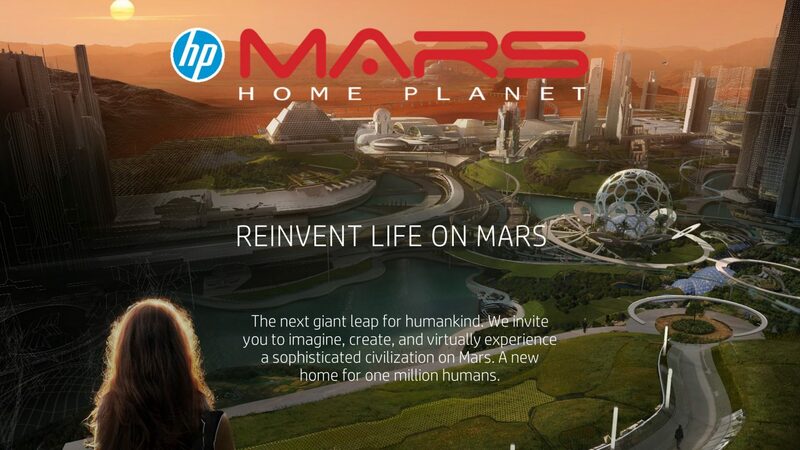 Take a POV video tour of the HP Mars Home Planet inspired virtual set in the video below and let us know what you think! Virtual sets at 4K 60p! 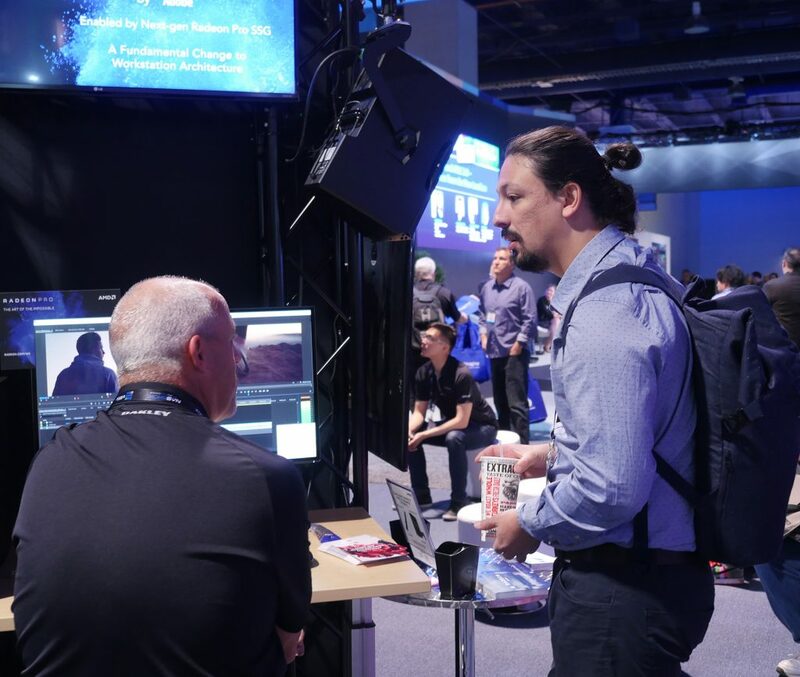 At the 2018 NAB Show, StudioXperience showcased a new virtual production workflow based on Unreal Engine and Zero Density’s Reality Engine software that powered the live Waskul.TV broadcasts. 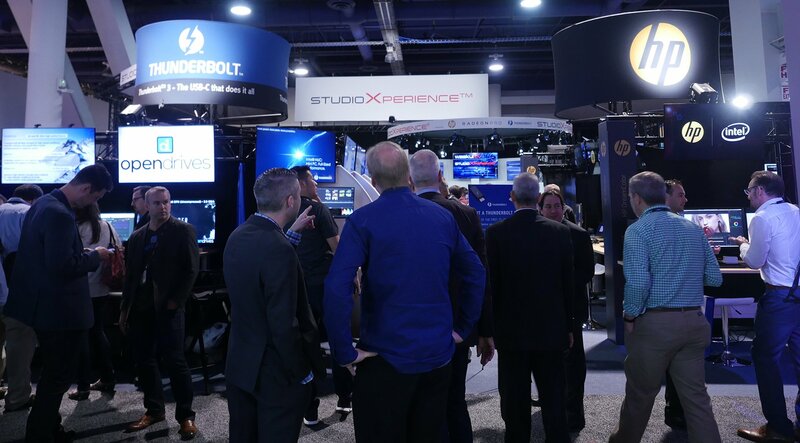 Moving from standard sets to virtual sets represented a big step forward for StudioXperience and attendees at NAB Show were amazingly enthusiastic about the change. 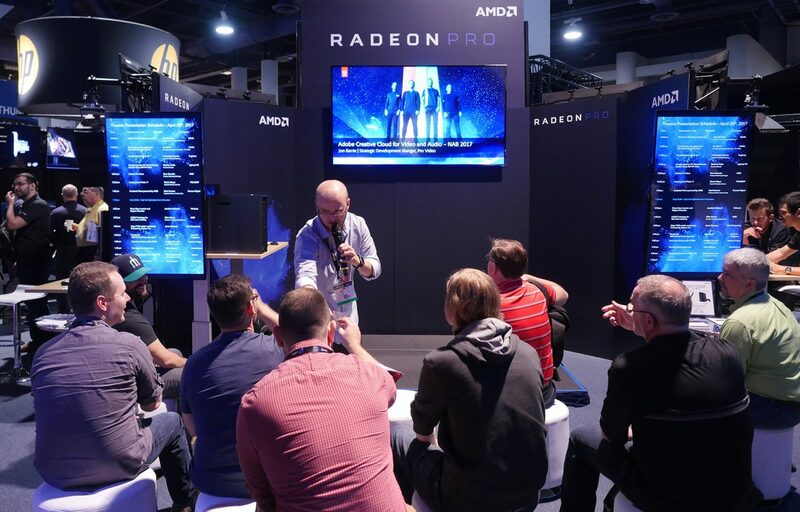 Now, after just four short months of working with our partners to push the limits of the technologies we had embraced as we moved to virtual sets, at SIGGRAPH 2018 we premiered the world’s first live broadcast with a virtual set powered by Unreal Engine at 4K resolution and 60 frames per second. The change to 4K 60p represents a major step forward. It provides smoother motion, greater detail and more realistic composites. While we see it as a stepping stone we’ll briefly touch on our journey to create more visually compelling content with higher dynamic range, real-time ray tracing, higher resolutions, higher frame rates, new forms of interactivity and new ways to experience live content, it is significant. In the discussion below we’ll share our thoughts on some of the key technologies StudioXperience relies on. StudioXperience constantly pushes the boundaries of what is possible. In our world, top-of-the-line power is an absolute necessity. We need the world’s most powerful workstations. But, because StudioXperience is a traveling technology showcase and live broadcast studio that is both highly visible to live audiences at the events it attends as well as to viewers watching our live broadcasts on Waskul.TV world wide, the workstations we rely on for high-performance computing must also be incredibly reliable. 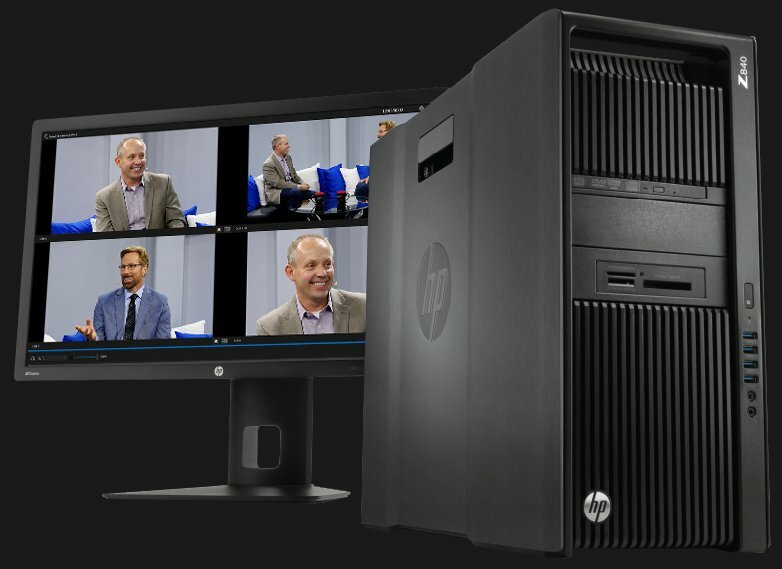 For many years now Waskul.TV’s production workflows have been powered by HP Z Workstations. We’ve found them to always deliver amazing performance while being rock-solid and dependable. We started with the HP Z800 Workstations and then moved on to the Z820 Workstations and then the Z840 Workstations. We are still using the Z840 Workstations for some production tasks as you can see in the right rack powering our SIGGRAPH 2018 workflow. 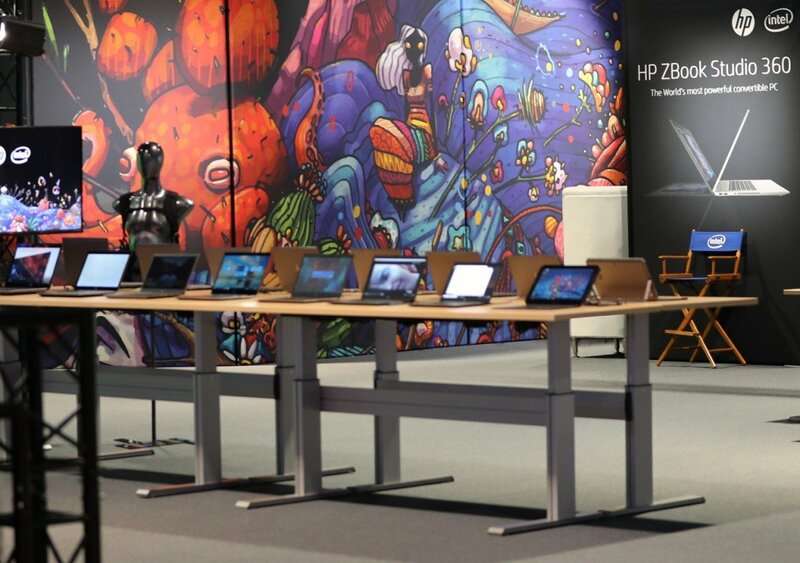 This year we’ve moved all of our high-performance applications to HP Z8 Workstations. We are big fans of the Z8 and the HP teams responsible for this robust design. 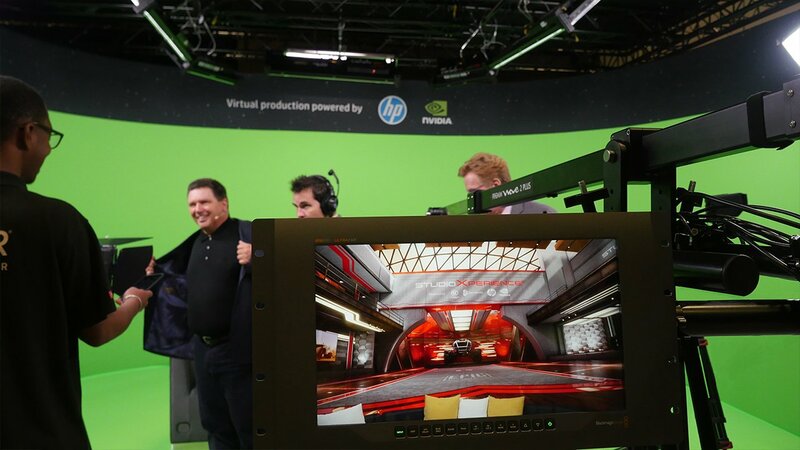 For our 4K 60p virtual set live production we used 4 Z8 Workstations. Each Z8 ran an instance of Zero Density’s Reality software which we have more information on below. 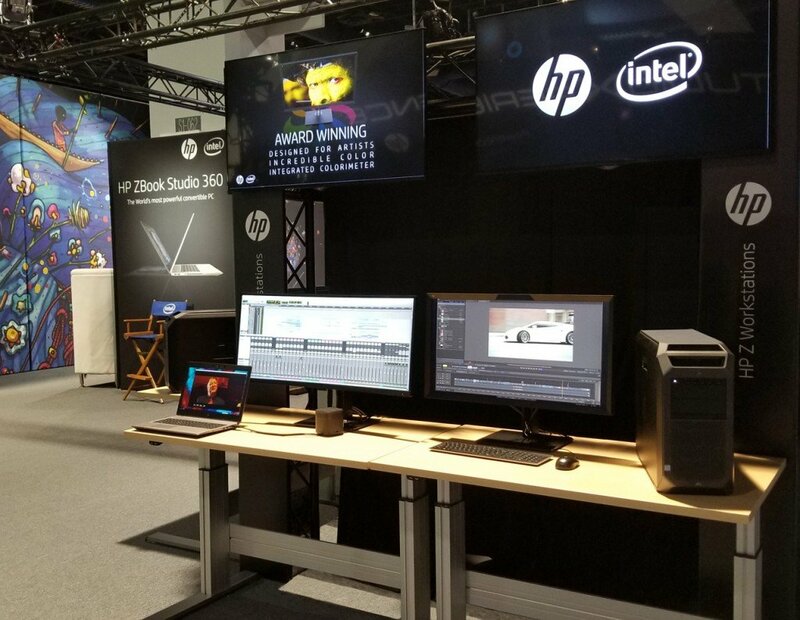 The HP Z8 Workstations were also used for content creation in our production workflow powering a range of 2D and 3D applications. We’ll be talking more about two of these applications, Ventuz Designer and Ventuz Director software below. 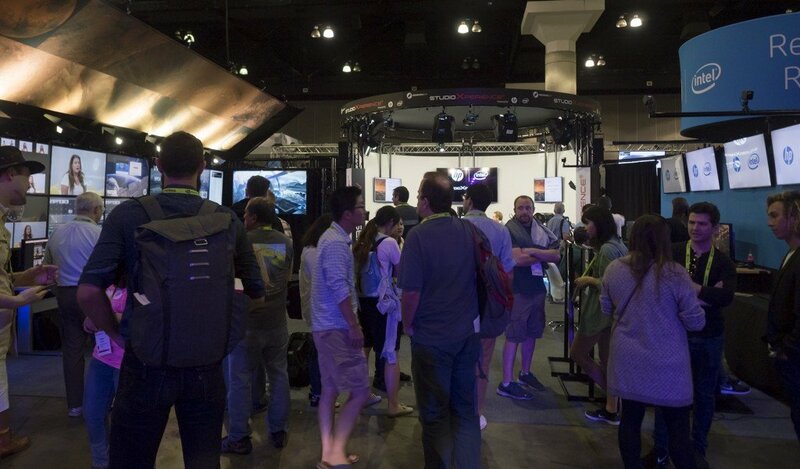 NVIDIA GPUs played a vital role in the SIGGRAPH 2018 StudioXpereince. 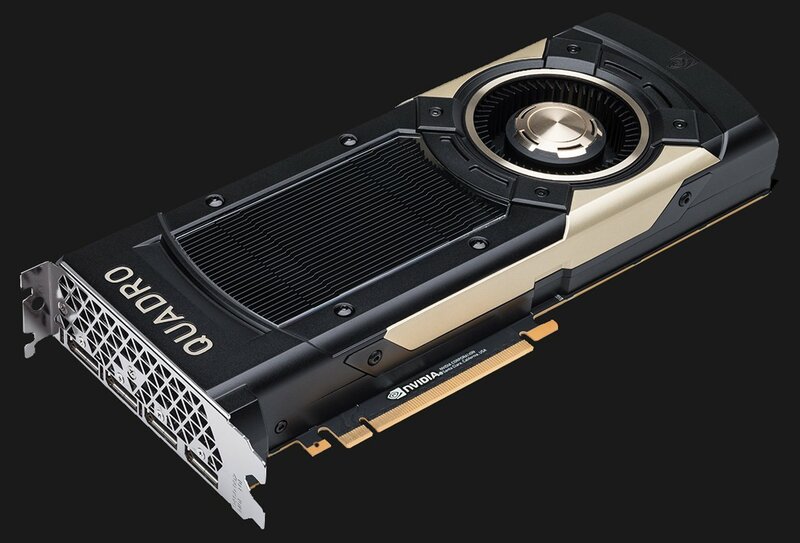 In fact, it would not have been possible for us to make the move to 4K 60p virtual sets without the new NVIDIA Quadro GV100 GPUs powered by NVIDIA Volta. 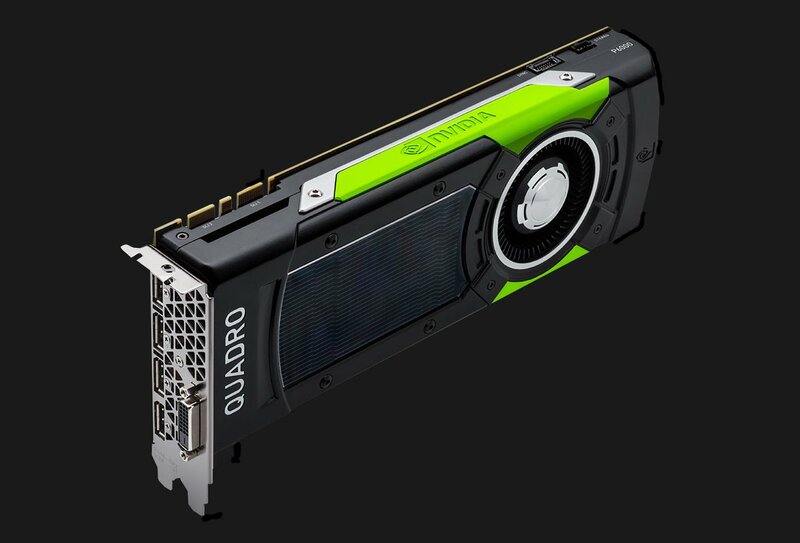 The Quadro GV100s provide 5120 CUDA Parallel-Processing Cores along with 640 Tensor Cores and 32GB of GPU Memory. ZeroDensity was able to leverage this power by directly addressing the cores with modified code in their Reality Engine software solution. This modification along with the incredible processing capabilities of the Quadro GV100s enabled the solution to achieve this breakthrough real-time 4K 60p performance. 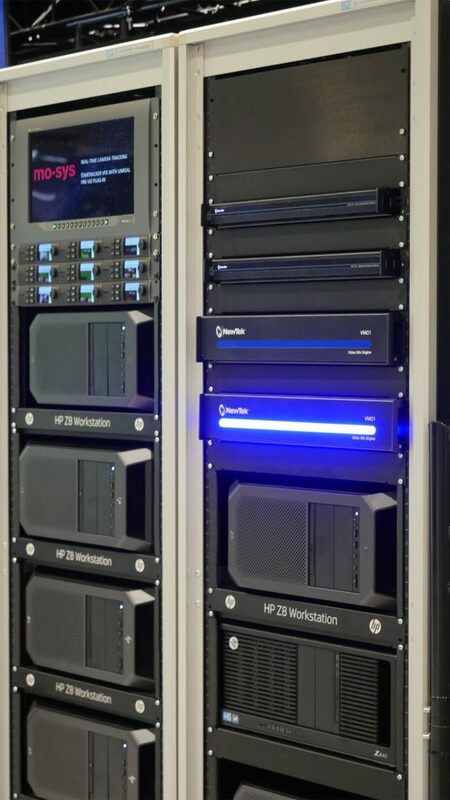 NVIDIA Quadro P6000 GPUs were used in HP Z8 Workstations for other production applications and also in 5 HP Z4 Workstations used for the HDR 12K video wall featured in StudioXperience. 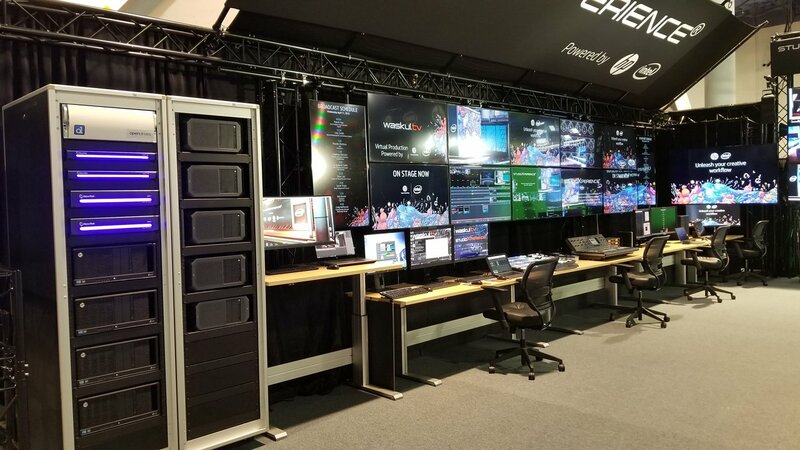 To power the video wall, the five HP Z 4 Workstations were utilized in a cluster configuration enabled with Ventuz software solutions. One NVIDIA Quadro P6000 GPU was installed in each of the Z4s in the cluster. In total nine 85″ 4K HDR displays were used for the video wall. Two displays were connected to each of four workstations with the ninth display being connected to the fifth HP Z4 Workstation. More details about the Ventuz side of the solution are provided below but this solution yielded amazing real-time results! 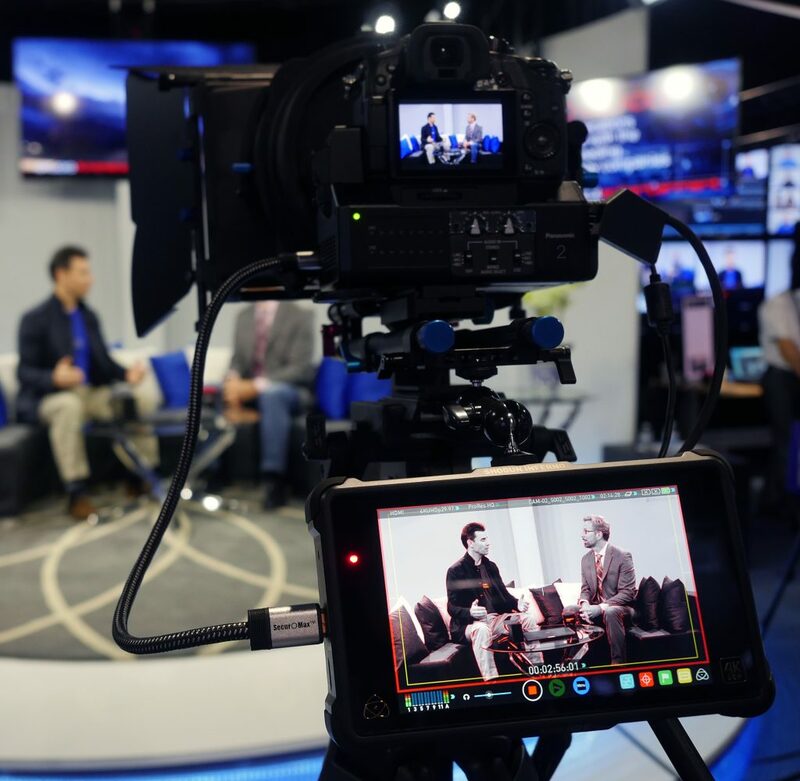 When Waskul.TV decided to make the move to virtual sets and to showcase them at the 2018 NAB Show, we turned to the team at ZeroDensity. 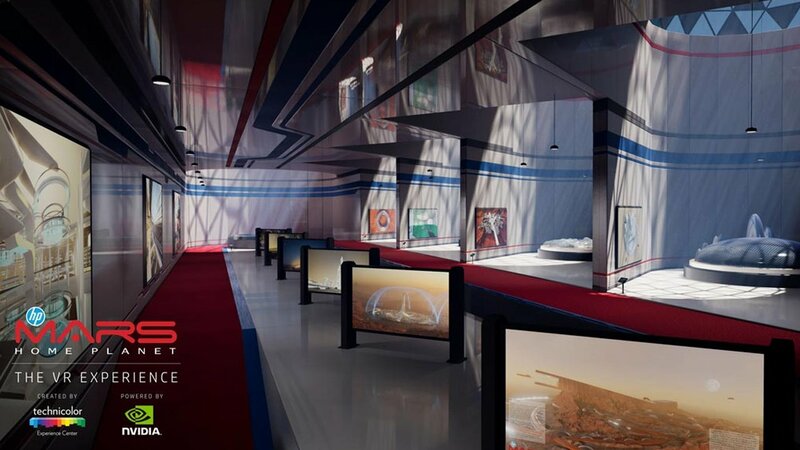 We had seen their virtual set solution at IBC previously and were impressed with among other things their ability to create clean composites and their real-time photo-realistic rendering which is based on Epic’s Unreal Engine software. 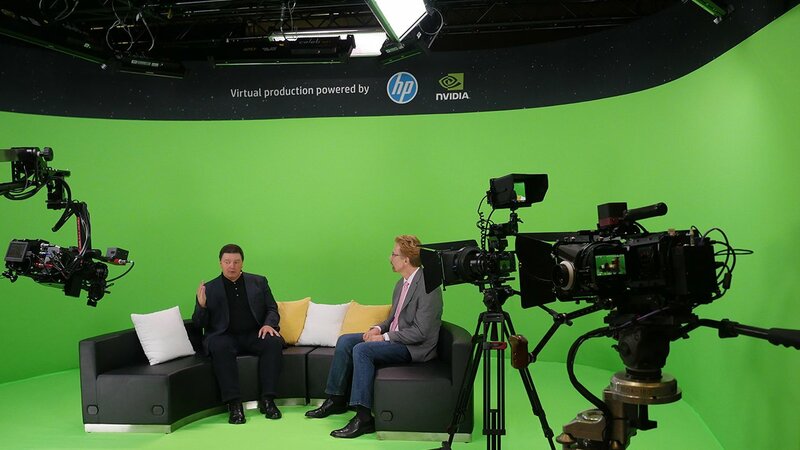 The team at ZeroDensity has been great to work with and our first venture into virtual sets at the 2018 NAB Show was a big success. 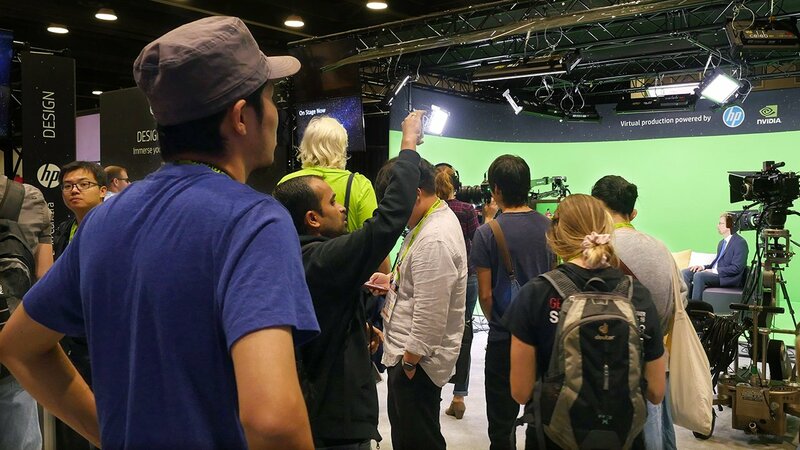 So, the natural question post-NAB Show was whether it would be possible to move the game ahead and show 4K 60p real-time virtual sets by the time StudioXperience made its appearance at SIGGRAPH 2018. Thanks to a lot of work on the optimization side by the Zero Density team, the power of the new NVIDIA GV100 GPUs and a significant amount of help from our friends at Epic with our Mars-based virtual set, our joint goal was achieved. So, was the effort worth it? Absolutely! Are we looking forward to real-time ray tracing within our virtual sets along with HDR and the realism that will add? You bet. Stay tuned folks. 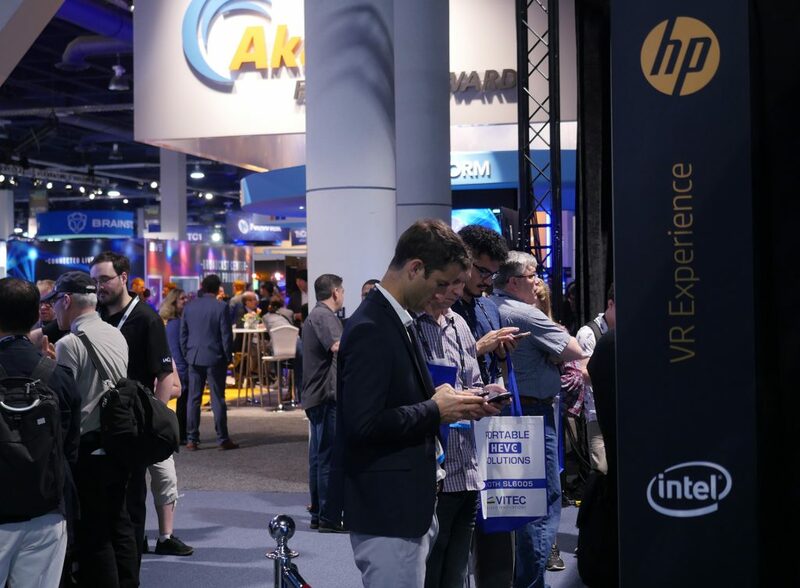 Professional visualization, VR, gaming and broadcast are all coming together in ways that will bring you new and exciting experiences whether it be VR based training, interactive media experiences or events coming to you live. 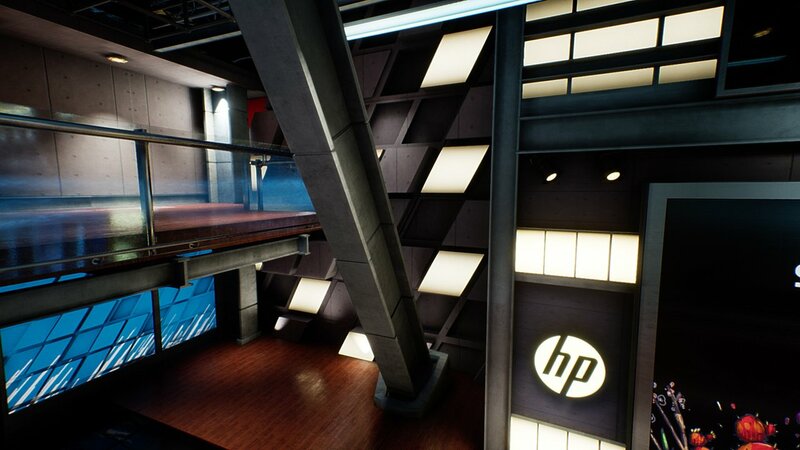 With world-class workstations like the HP Z8 Workstation, incredible GPUs like the NVIDIA Quadro GV100 and amazing software solutions like ZeroDensity’s Reality software and a great virtual set built in and optimized for Unreal Engine, one might think that you’d be good to go for virtual set production. One key element is missing though. How you tell where the cameras are pointed and focused in 3D space and how you alter that information as the camera moves or a lens zooms etc? Thankfully, that’s where Mo-Sys comes in with their StarTracker VFX solution. StarTracker VFX provides high quality camera tracking and it comes with a plugin for Unreal Engine giving you amazing flexibility and creative freedom. In our set up it is being used to track the discs we’ve added on the ceiling. The solution then calculates the position of our cameras and it sends that information to the ZeroDensity Reality Engine software so Reality can create the camera view in real time based on the exact location of each camera tracked. You can see the small image sensor on top of two of the cameras we used at SIGGRAPH 2018 and if you look closely at the images you’ll notice the small reflective dots on the ceiling that are being used by the system to calculate camera position. 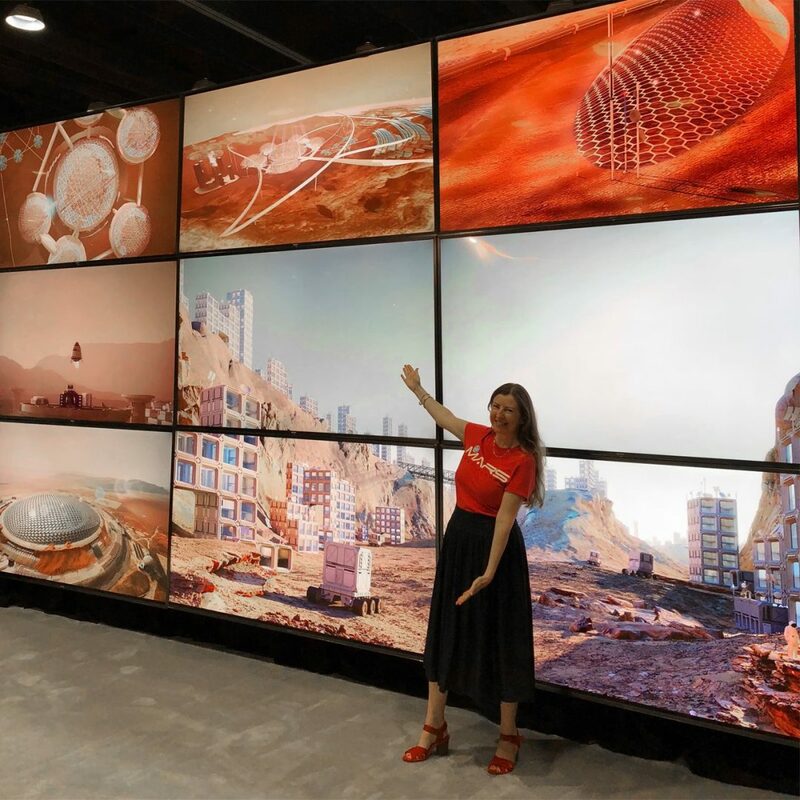 As StudioXperience was hosting the conclusion of the Mars Home Planet project at SIGGRAPH 2018, the team felt it would be appropriate to provide the winners of the rendering part of the competition with a proper display of their work. 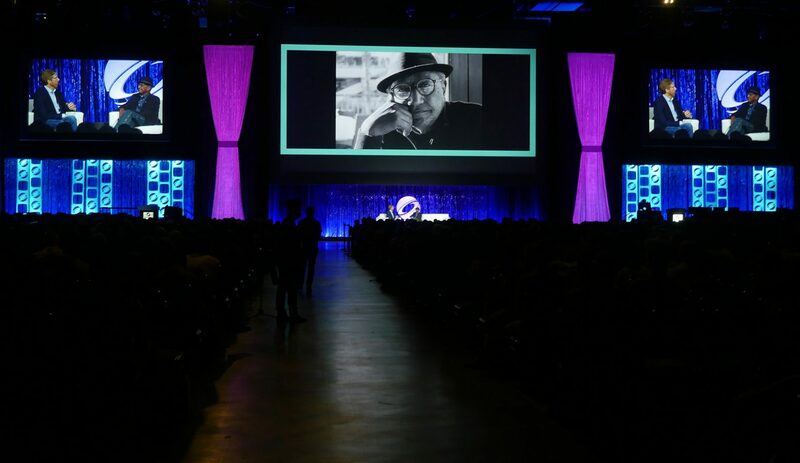 So, we settled on a video wall and allocated a space of just over 18 feet wide x 11′ tall for it and began looking at many of the solutions available. 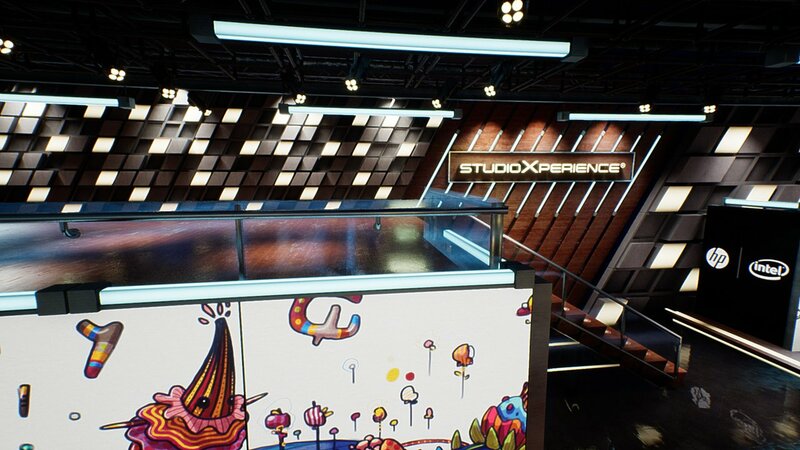 Our two main concerns were color fidelity and the resolution of the video wall since StudioXperience guests would be able to walk up to it and stand as close as they liked. After careful consideration we decided not to go with a typical LED based video wall system and opted instead for a solution that would allow us to use the latest 85″ UHD HDR displays to create a video wall that could power each display at it’s native 4K resolution. With our 3 x 3 setup this gave us a HDR 12K canvas to work with. To power the video wall we reached out to Ventuz. They are an amazing company and their software is very powerful and flexible. In fact, our 12K video wall only scratched the surface of what is possible with their software. What is truly amazing though, is that with Ventuz you can render everything in real-time and that by clustering workstations together you can easily scale the systems to achieve any resolution or number of displays. Also, once you’ve come to terms with the tools available, you begin to see just how much sense it makes to have the ability to change elements on the fly vs. having a solution that uses pre-rendered content. 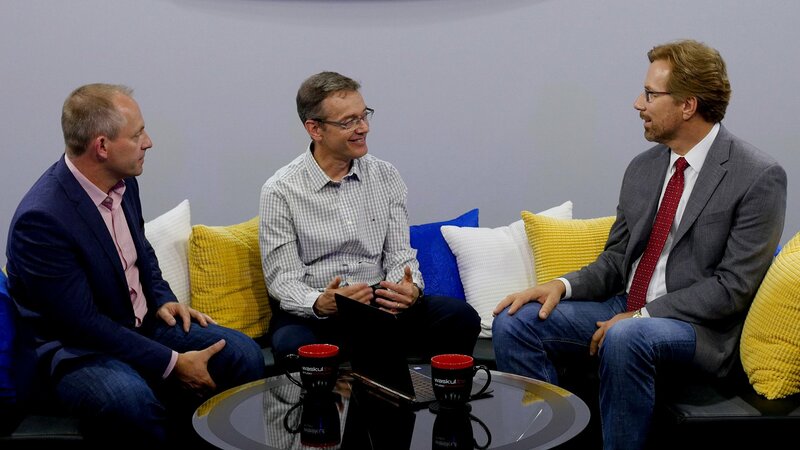 Our team feels this is amazingly compelling software and we’re looking forward to taking the next step with it at as we plan for future StudioXperience appearances. 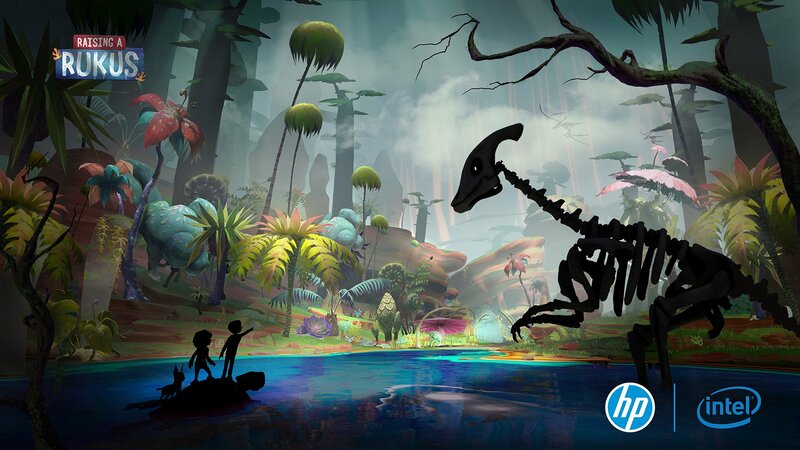 The HP Mars Home Planet project, lead by HP and NVIDIA, was launched in StudioXperience at SIGGRAPH 2017. 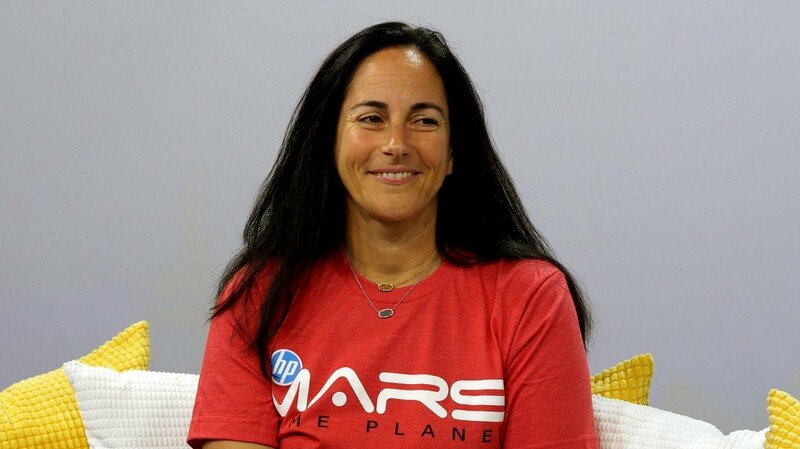 The program attracted more than 90,000 creative professionals, architects, engineers and students in more than 150 countries who engaged to simulate what human life might look like on Mars. 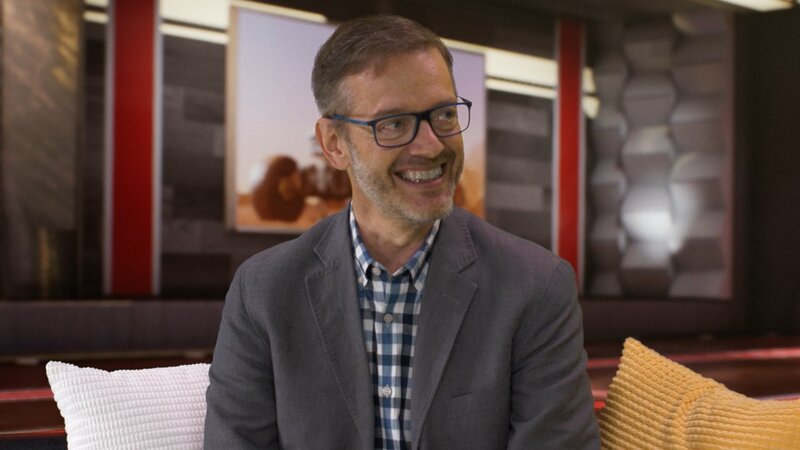 Many of these individuals and teams submitted their ideas, concepts, 3D models and renderings of designs they thought might be useful for life on the red planet. After a year-long journey, the program celebrated its conclusion in StudioXperience at SIGGRAPH 2018. As a part of the celebration, Technicolor premiered a new VR experience that integrated some of the most innovative ideas that were brought forward by the community that formed around the program. 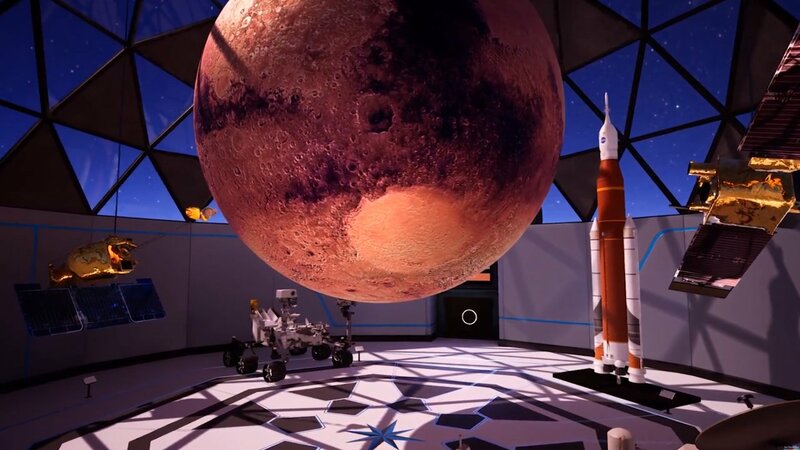 The HP Mars Home Planet VR experience takes users through a Martian Community Onboarding Center where they see innovations in areas such as architecture, engineering and transportation that enable humans to make the leap to living on Mars. 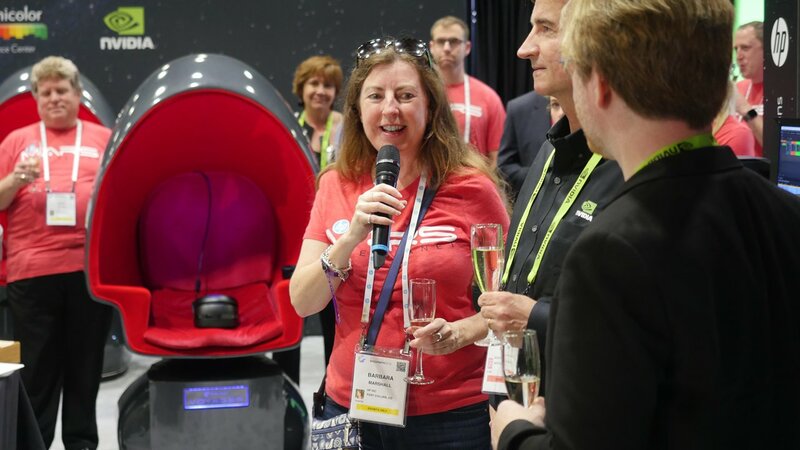 Technicolor developed the visuals for the experience in Epic’s Unreal Engine and coordinated their efforts with Positron who makes motion-enabled seating. 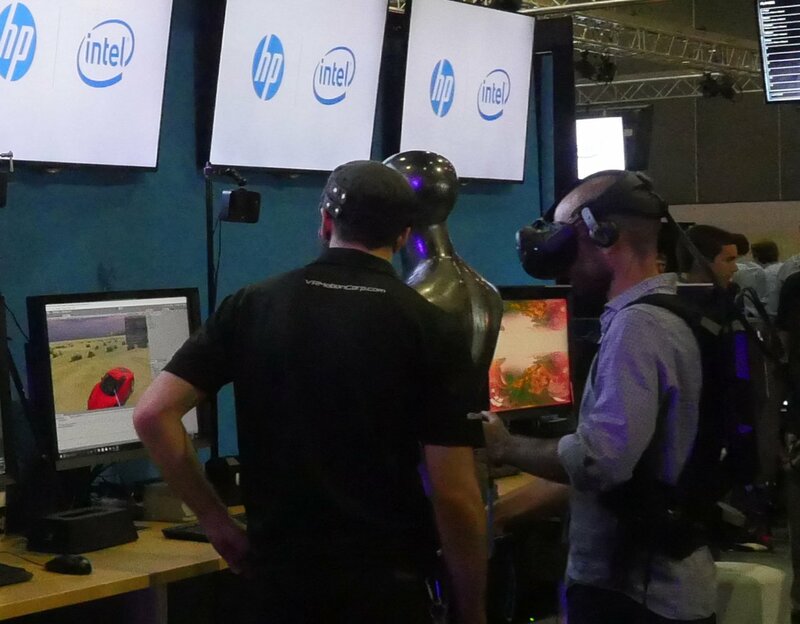 The result is the first ever six-degrees-of-freedom VR piece built for motion-enabled chairs using HP Windows Mixed Reality headsets. 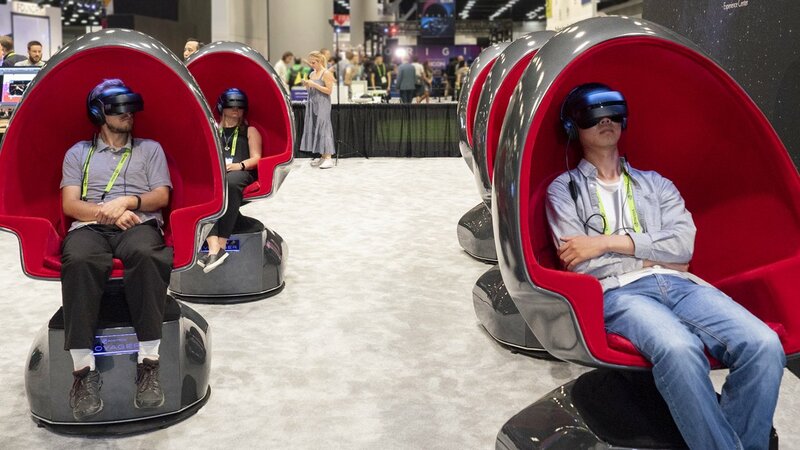 StudioXperience featured five of the special motion-enabled chairs and SIGGRAPH 2018 attendees had a great time trying out the innovative VR experience. It’s great to see how a community can come together for a project like this. The StudioXperience team salutes everyone’s efforts and we look forward to seeing what comes next. 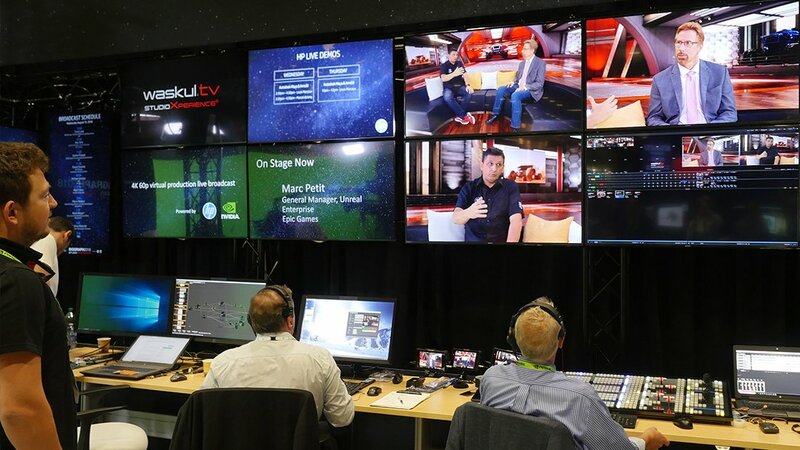 For 2018, StudioXperience has expanded the workflows being showcased to include a new virtual production workflow that is powering the live Waskul.TV broadcasts. At the heart of the workflow is a new virtual set created with Unreal Engine 4 which is a game engine developed by Epic Games. The virtual set is quite similar to a level in a game in that when you create a virtual set you’re creating a complete environment that can be navigated in real time just like you’d expect in a game. Working with Unreal Engine to develop an environment gives you amazing creative opportunities since you are not constrained by the costs that would be incurred to construct real sets in the real world. Also, once you’ve created your virtual sets, they can be utilized in a range of productions and sets can even be changed during a single production or over the course of a day in a broadcast facility to achieve different looks for different programs that come on during the day that are filmed live in the same studio. Once you have the virtual set, the next task is to composite live action talent into the virtual set in real time. 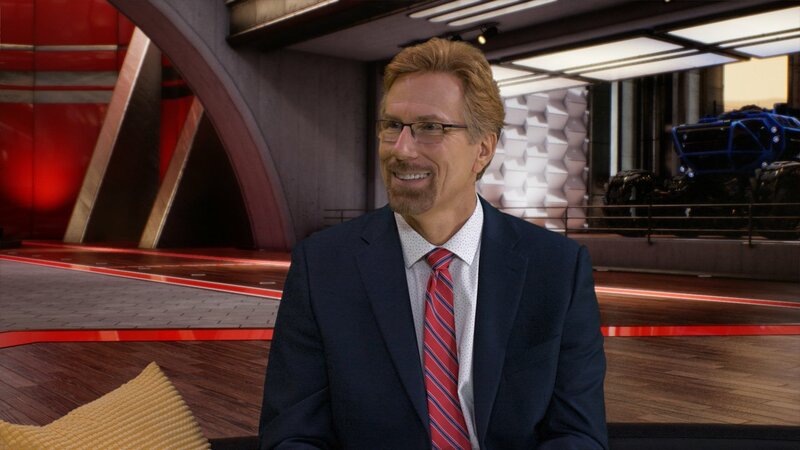 For StudioXperience this begins with having our guests join Steve Waskul on our interview couch located on a green screen cyclorama. 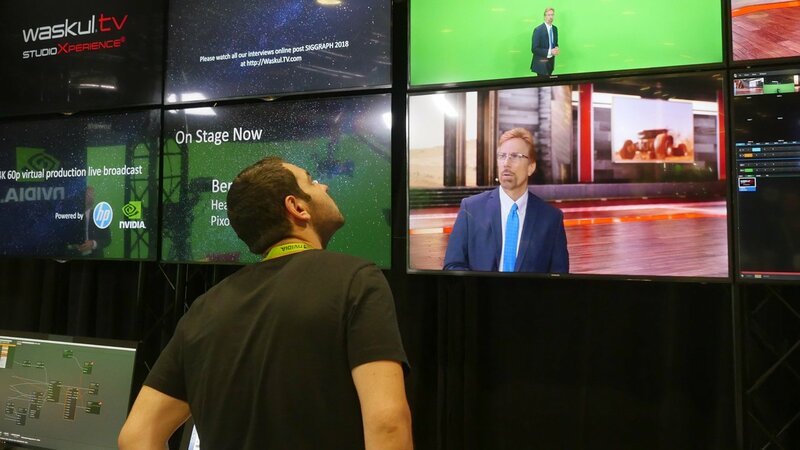 At NAB Show our setup featured a 22′ wide x 18′ deep x 10′ tall cyclorama made by ProCyc painted with a custom green screen paint. In a departure from common convention, we’re using LED lights made by Nila for lighting both the green background and the talent. With proper instrument placement, diffusion and intensity adjustment, we find that the Nila light fixtures deliver excellent results for this application. In our studio both the Nila Zaila and Nila Varsa lights are used. 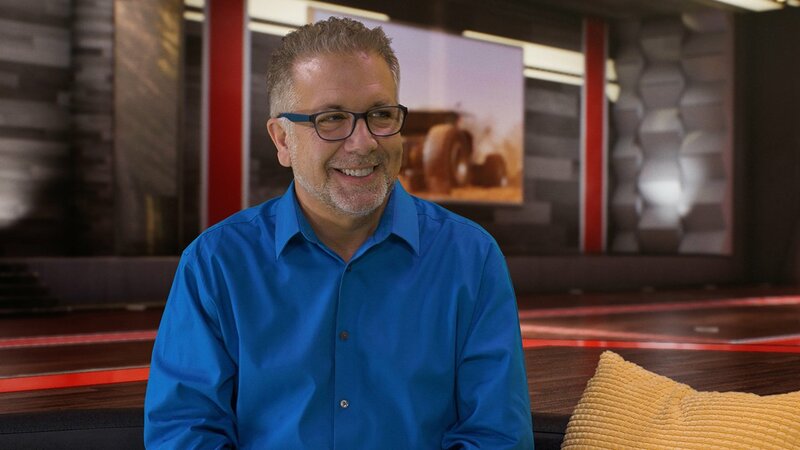 The next step in our virtual production workflow is capturing the conversations that are happening on the couch and sending them along for green screen removal and compositing in real time. For this step, cameras and lenses play a critical role. 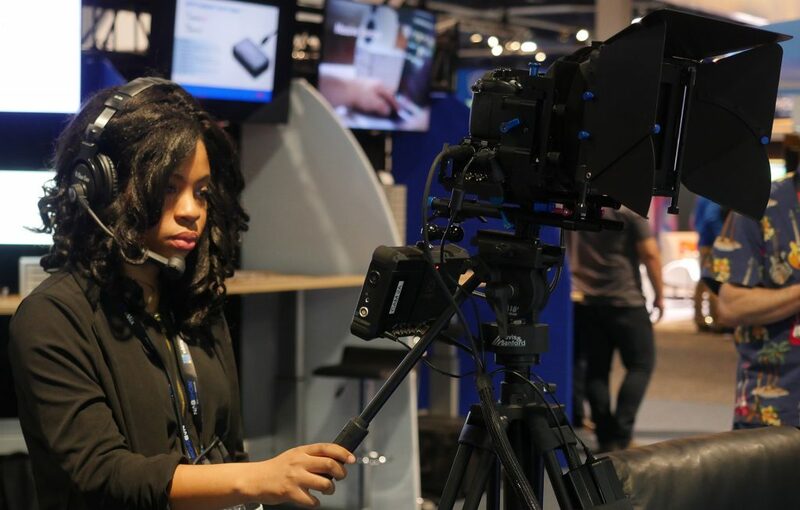 At NAB Show, StudioXperience utilized four Grass Valley LDX C82 Premiere cameras with Canon broadcast lenses. 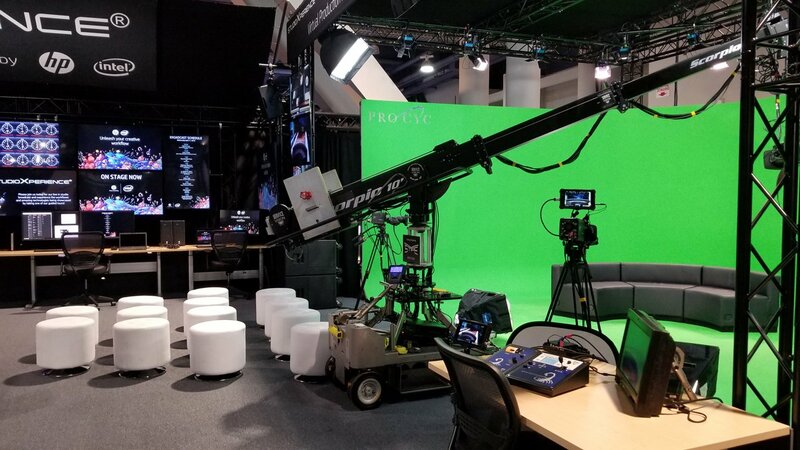 Three of the cameras were locked off shots and the forth camera was used on a Servicevision Scorpio 10′ telescopic arm crane that featured a Stype camera tracking system. With this setup we could deliver precise positional data of the crane camera in 3D space to the compositing system as the crane was used during the interviews. 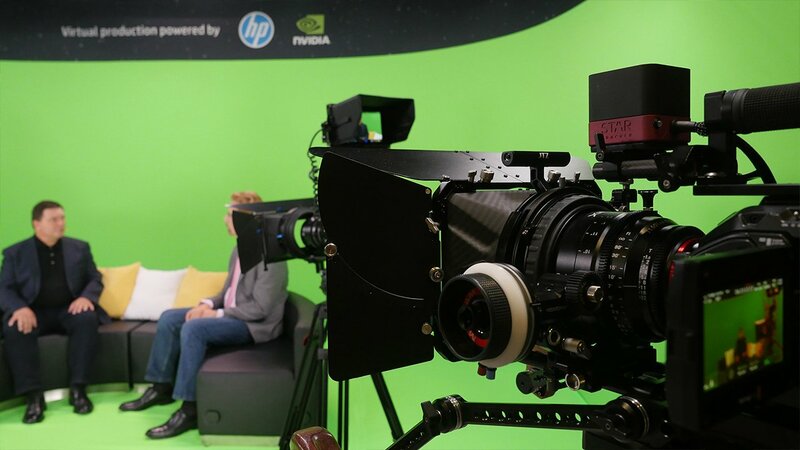 As the interviews progress, each camera sends its video stream via SDI to a dedicated HP Z8 Workstation with Intel® Xeon® processors and dual NVIDIA Quadro P6000 GPUs. Once the streams reach the workstations, Zero Density’s Reality software is used for removing the green background and compositing the live action into the virtual set in real time. 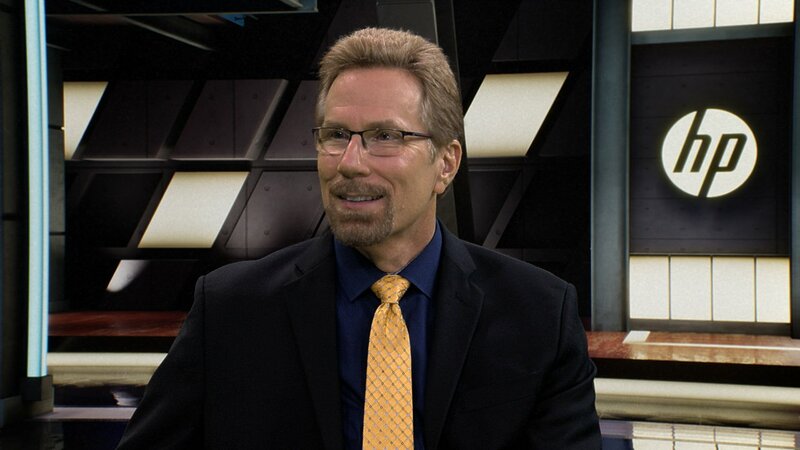 Once the compositing process is completed the four video streams are then sent to a NewTek IP Series switcher (VMC1) so the technical director can take the camera shots into the live production along with all the other elements for the show. At this point the output stream is sent to a HP Z4 workstation running COGO’s COGO LIVE 4K transcoding solution which creates a very high-quality, low bit rate video stream that then gets uploaded through the application to our choice of video platforms. 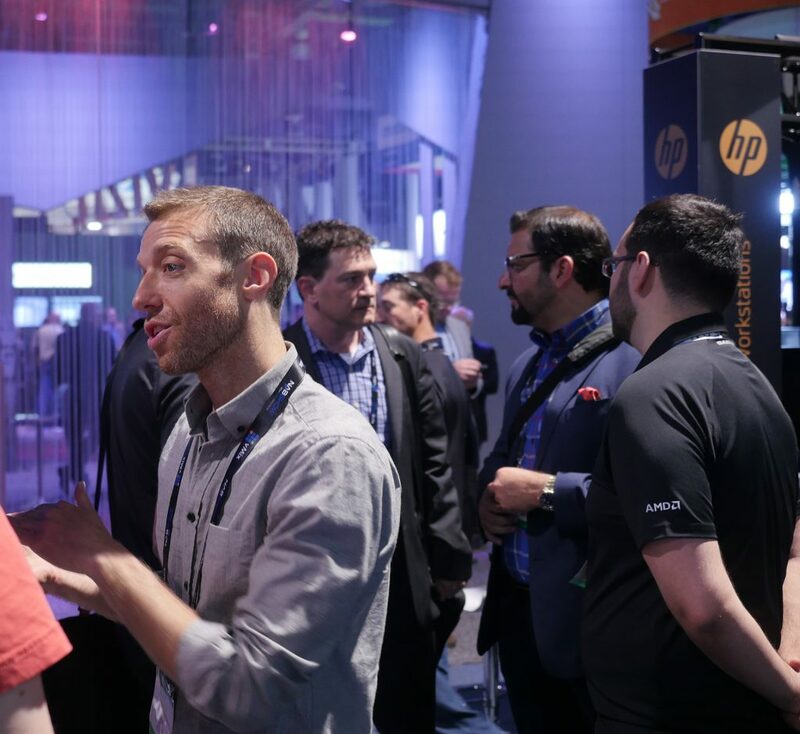 At the 2018 NAB Show StudioXperience played host to HP’s launch of its fifth-generation HP ZBook Mobile Workstations designed for creative and technical professionals, executives and students who demand high-performance computing and premium experiences. The new lineup features cutting-edge design, innovative collaboration tools and superb security features to help elevate the creative process. 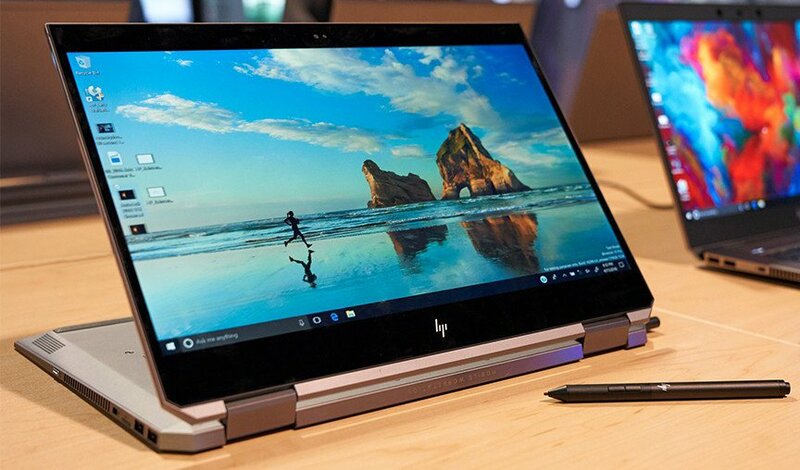 With this generation of HP ZBooks the team at HP has demonstrated that they are focused on creating products that elevate the creative process with designs that provide amazing versatility, precision inking experiences, the brightest displays, tool-less access and refined finishes. This generation of HP ZBook’s feature precision-crafted machined aluminum for enhanced structural integrity, durability and weight-savings, and streamlined narrow border displays that allow for more screen real estate in a smaller chassis. One important consideration for enterprise and SMB customers as well as creative professionals is security. On that front it is significant that HP also designs it’s HP ZBooks to be the world’s most secure and manageable mobile workstations. 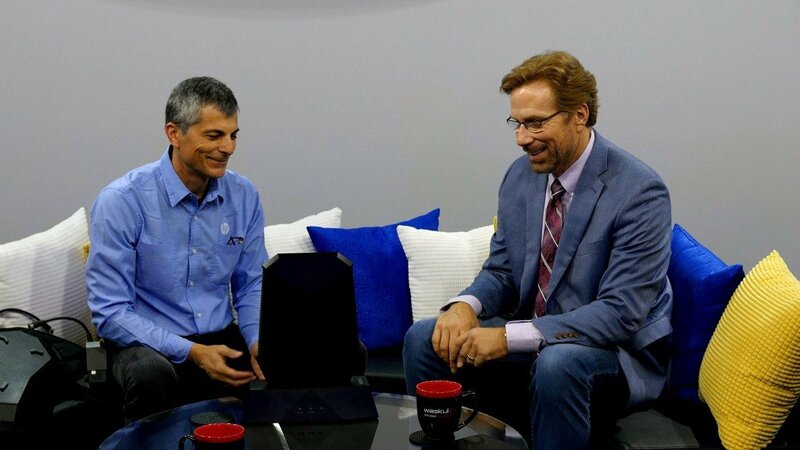 To learn more about the security features and the design philosophy behind the entire HP ZBook line, we recommend watching our interviews with HP’s General Manager and Global Head of HP Z Workstations, Xavi Garcia, and Carol Hess, Vice President, WW Workstation Product Management & Go-to-Market for HP on Waskul.TV. Additionally you might want to check out our interview with Sarah Burton who is the Director of Mobile Workstations Portfolio Planning at HP. 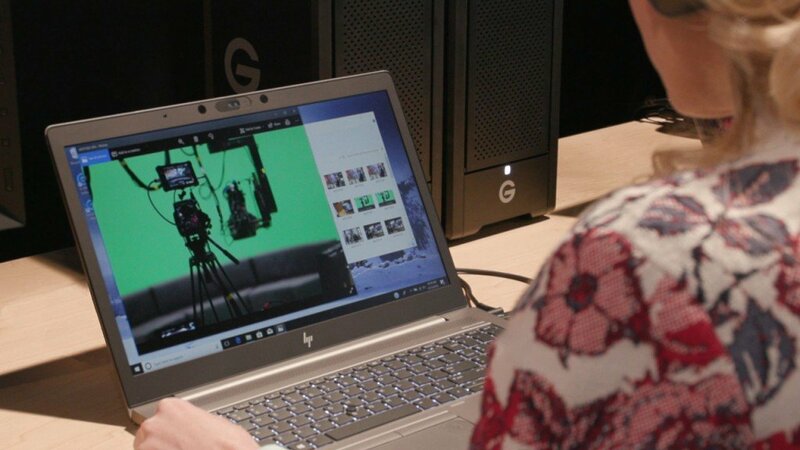 One of the new mobile workstations featured in StudioXperience was the HP ZBook Studio x360 G5 which HP says is the world’s most powerful convertible PC. With its innovative 360-degree hinge, the new HP ZBook Studio x360 G5 delivers the comfort of a laptop, the convenience of a tablet and the luxury of additional modes to help showcase work. Precision inking with 4,096 levels of pressure sensitivity is realized on the touch-sensitive anti-glare HP DreamColor display – the world’s brightest, 4K laptop display which has 600 nits of brightness and supports 100 percent of the Adobe RGB color space. The HP ZBook Studio x360 G5 also supports up to 6 TB of internal storage, with certified NVIDIA® Quadro® graphics and ultra-fast 6-core Intel® Xeon® processors. 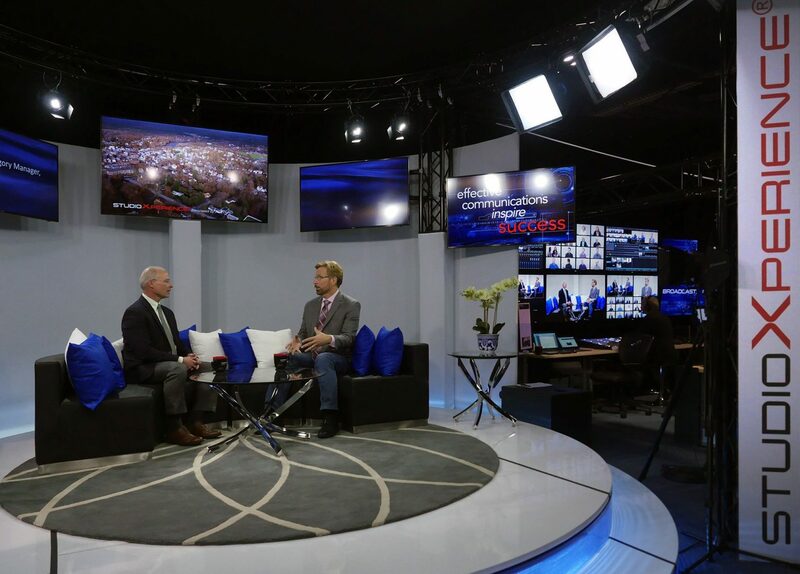 As a traveling broadcast facility, it is critical for StudioXperience to minimize its technology footprint where possible. That’s why we’ve integrated both HP ZBook 17 G5 mobile workstations and HP ZBook 15 G5 mobile workstations into our workflows where possible. HP says the HP ZBook 17 G5 is the world’s most powerful mobile workstation. With options for a range of 8th generation Intel® processors including the Intel® Xeon® E3 processor, up to 10 TB of internal storage, 64 GB of DDR4-2667 ECC SDRAM, NVIDIA® Quadro® P5200 graphics and display options that include the HP DreamColor 17.3″ diagonal 4K IPS anti-glare LED-backlit display, the HP ZBook 17 G5 is also highly configurable so you can customize it to fit a wide range of workflows. 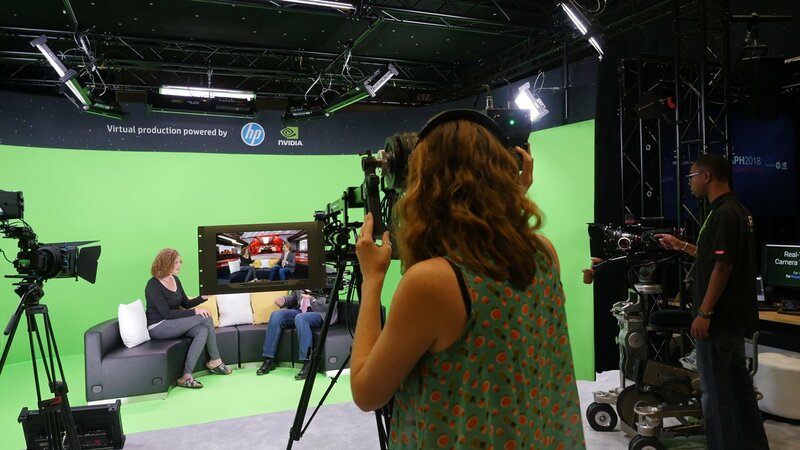 At the 2018 NAB Show, attendees used the HP ZBook 17 to explore our new virtual set using the Unreal Engine 4 gaming platform. The ZBook 17 was also used as a content creation station running several Adobe applications. 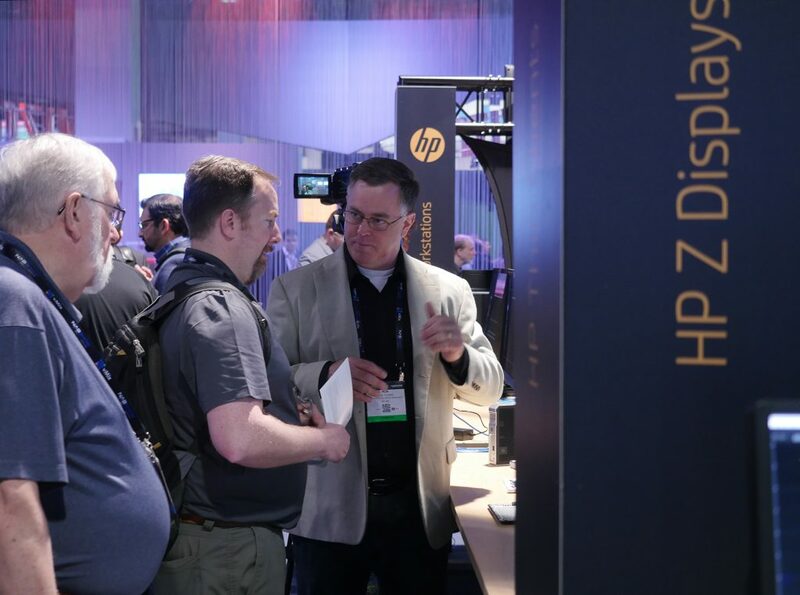 In addition to being showcased in action as part of the Waskul.TV live production workflows, HP Z Workstations, DreamColor Professional Displays, HP Thin Clients and the new HP Z 3D Camera were demonstrated for attendees across a range of applications. Foundry’s Nuke running on a HP Z4 Workstation with Intel® CORE™ i9-7920X processor and NVIDIA® Quadro® P6000 GPU. HP t730 Thin Client connected to a HP Z8 Workstation running Adobe Premiere Pro. 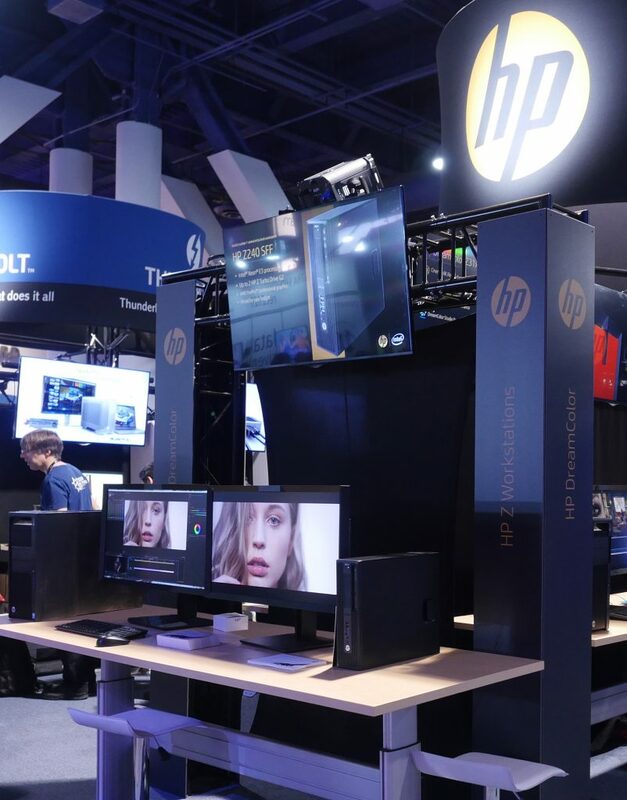 The demos featured the complete range of HP DreamColor Professional Displays including the new HP DreamColor Z27x G2 Studio Display which was launched at the show. According to HP this display and the HP Z31x which made its debut last year at NAB Show in StudioXperience are the World’s most advanced color-critical displays and they have the most advanced integrated colorimeters. 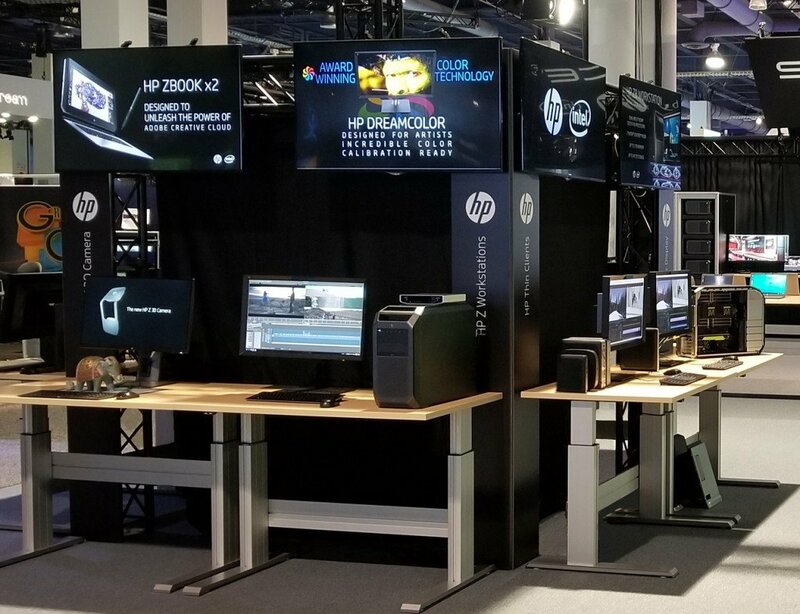 The new HP DreamColor Z27x G2 Studio Display made its debut in StudioXperience at the 2018 NAB Show. 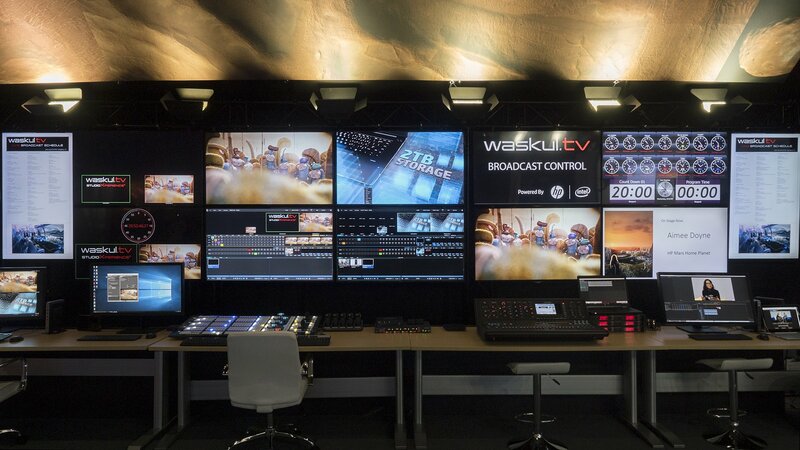 The display was featured in the Waskul.TV Broadcast Control area and in several of the HP technical demos discussed above. This display is designed with color professionals in mind. 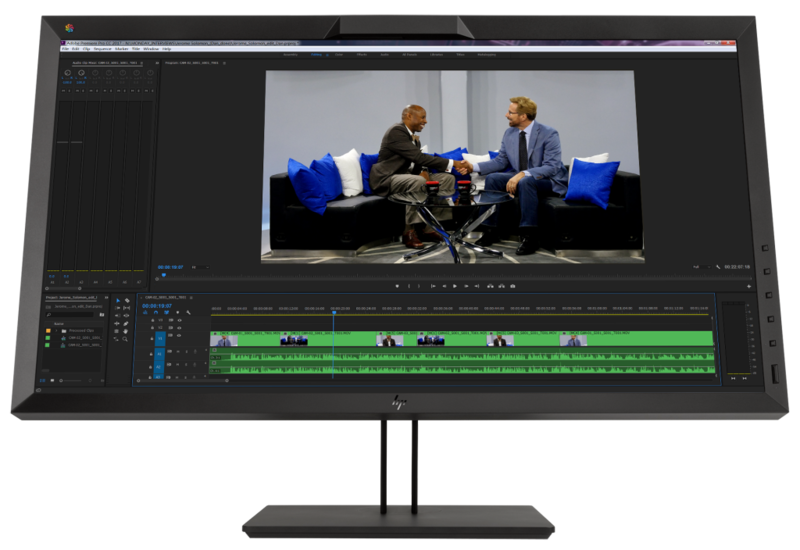 Its 27″ diagonal Quad HD display has breakthrough HP DreamColor Technology, an expansive color gamut, built-in colorimeter, and workflow management tools. One of the great features we like is the pop-up sensor that calibrates on demand or on a regular schedule so professionals can take the worry and hassle out of calibration. Calibrations can now be automated to run after hours and for larger teams the built-in colorimeter can be aligned with their own reference instrument for studio-wide color stability. The display has very accurate colors with 98% of Adobe RGB and 99% DCI P3 coverage and it has great off-axis viewing. SIGGRAPH is the world’s largest, most influential annual conference and exhibition in computer graphics and interactive techniques. This year StudioXperience once again played a significant role in the conference which was held in Los Angeles from July 30, 2017 – August 3, 2017 at the Los Angeles Convention Center. 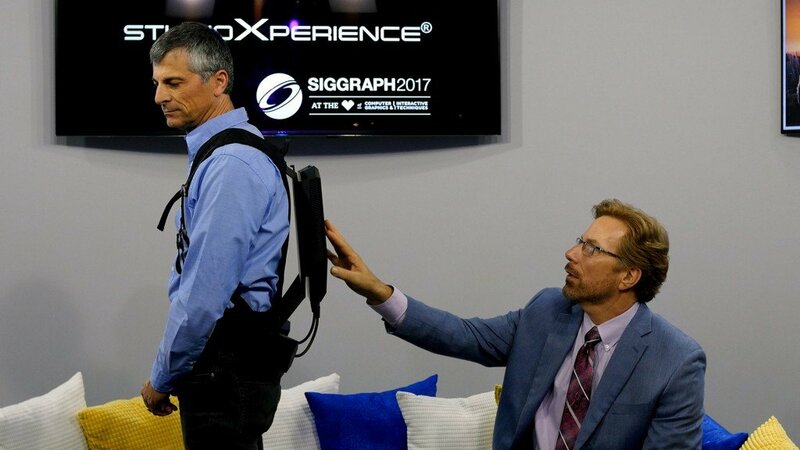 At SIGGRAPH 2017, StudioXperience hosted the launch of HP’s new Z VR Backpack which is the most powerful wearable VR PC created to date based on processing power, graphics capabilities and memory. The HP Z VR Backpack is light and comfortable (weighs about 10 lbs) and it allows free, “untethered movement” so people can leverage the capabilities of VR in any environment. One particularly interesting feature is the HP Z VR Backpack’s hot-swappable battery capability which allows the user to quickly swap out the two batteries while wearing the backpack. The HP Z VR Backpack is also the first PC on the market to feature the powerful NVIDIA® Quadro® P5200 GPU which has 16GB of memory. This, combined with the latest Intel® Core™ i7 vPro™ processors and up to 32GB of RAM will allow users to interact smoothly with high-end workloads and complex simulations. 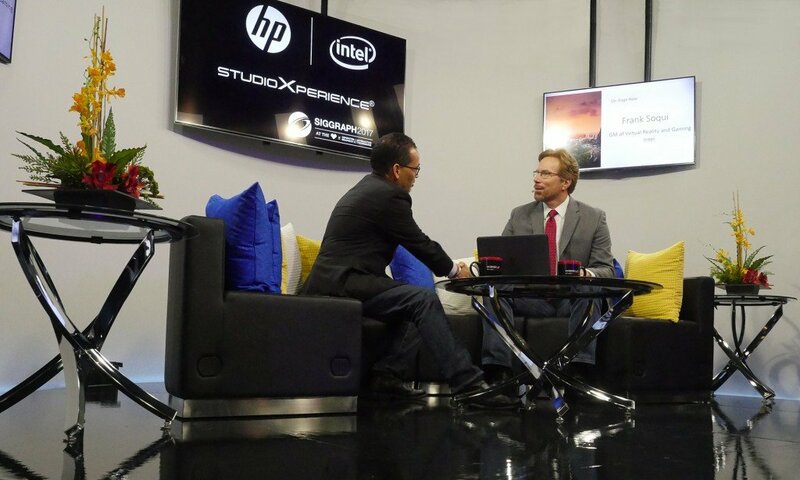 StudioXperience showcased Waskul.TV production and post-production workflows powered by HP Z Workstation with Intel processors. 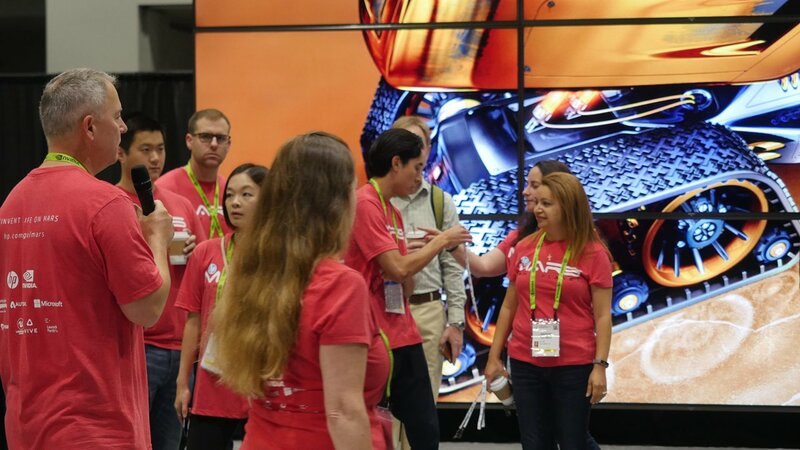 SIGGRAPH attendees had a great time seeing the latest IP content delivery platforms and the learning about the solutions Waskul.TV uses to create and deliver content to a global audience. 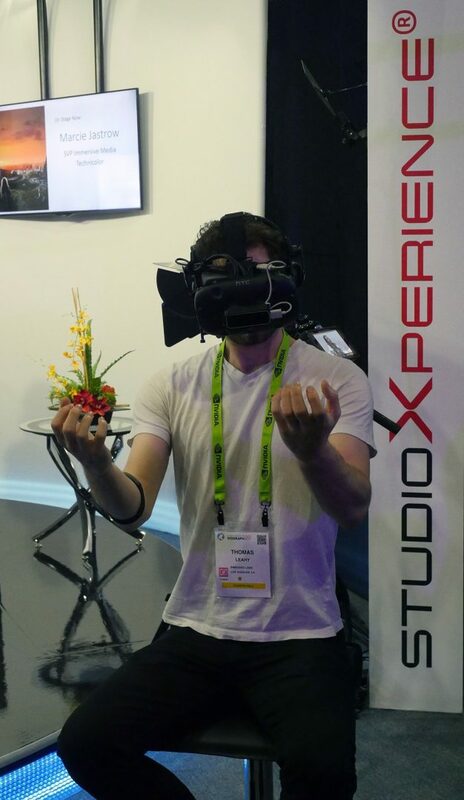 Keith Maher, Co-founder, CEO, VR Motion Corp.
SIGGRAPH 2017 attendee Thomas Leahy tries the immersive VR pain relief demo created by Firsthand Technology in StudioXperience. 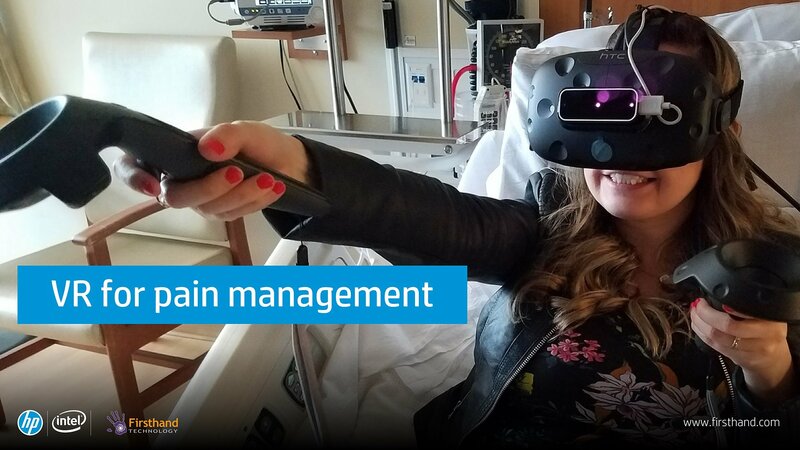 This image from our StudioXperience signage shows Firsthand Technology's use of VR for pain management in a hospital environment. VR Motion Corp builds products that power VR experiences for the automotive market. Here one of the SIGGRAPH 2017 attendees tries their demo in StudioXperience. 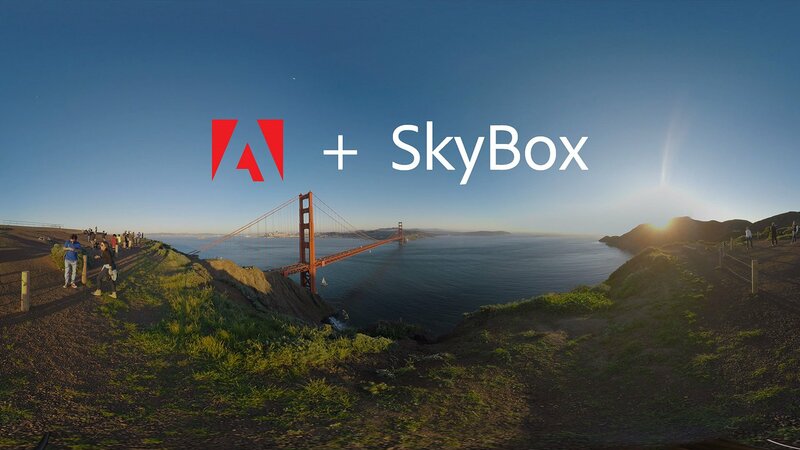 Adobe showed off it’s newly acquired SkyBox plug-ins for editing and applying effects and titles on 360-degree content using HP’s VR-Ready ZBook 17 G4 with NVIDIA P5000 graphics. 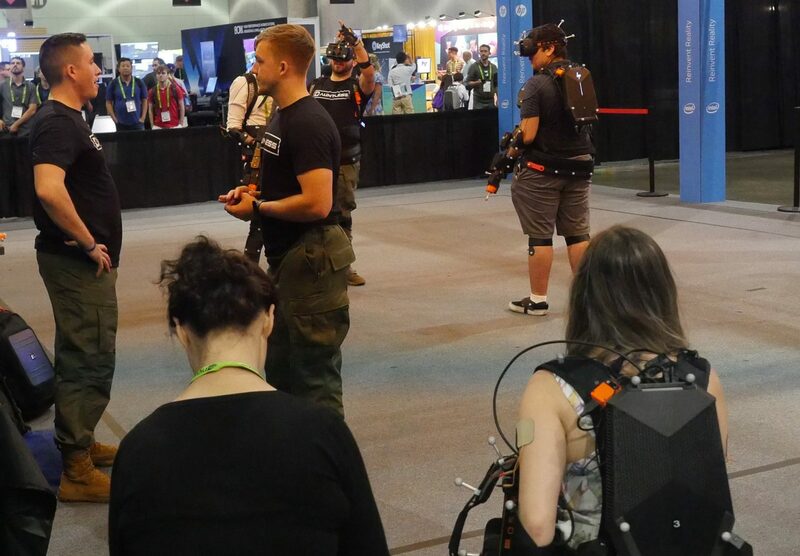 StarVR connected their wide field of view headset to the HP Z VR backpack and immersed attendees in their sister company's game (Starbreeze's game) John Wick Chronicles. The new StarVR head-mounted display features a 210-degree full peripheral field of view – roughly double that of any other VR headset currently available – along with 5K resolution (2560×1440 per eye). 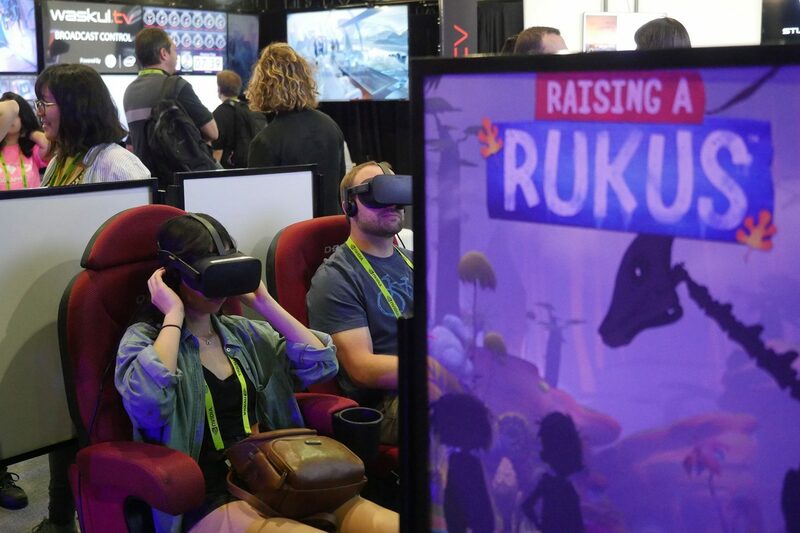 The Virtual Reality Company's Raising A Rukus is one of the best VR Experiences our team has seen to date and we were proud to feature it in StudioXperience at SIGGRAPH 2017. 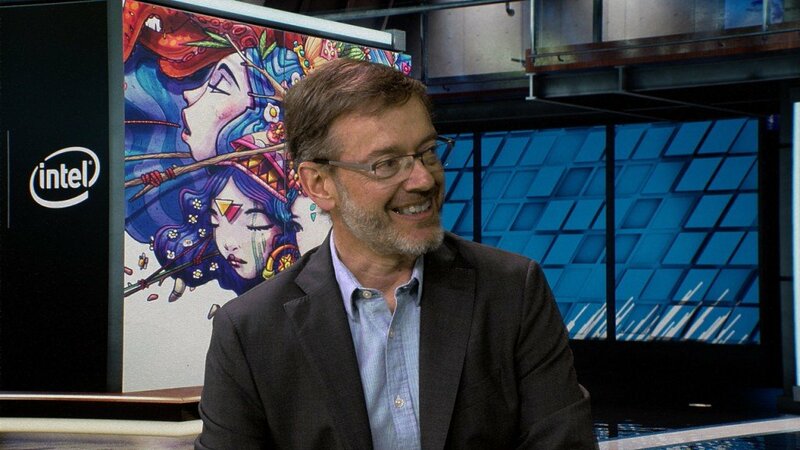 Robert Stromberg, co-founder and CCO of VRC was one of our interviewees as well. StudioXperience soft signage for the VRC Raising a Rukus VR Experience gave attendees an idea of the quality of the experience as they waited their turn to try it out. 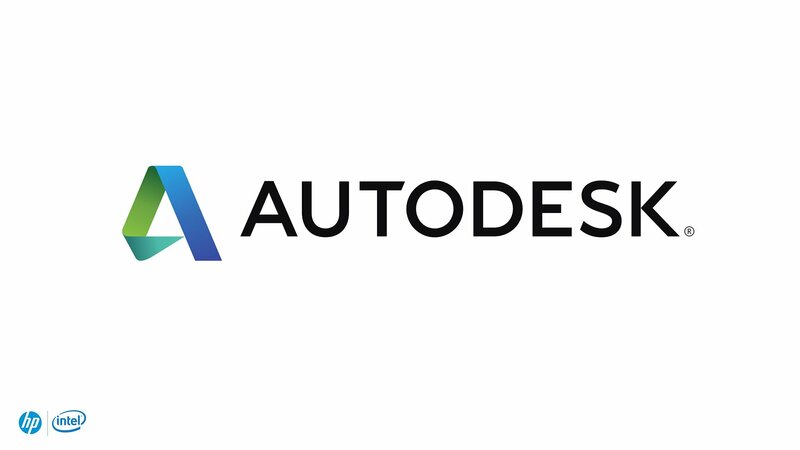 Autodesk demonstrated their new tools for Realtime VR development and viewing on a HP Z840 Workstation with NVIDIA's Quadro P6000 GPU and Intel Xeon Processors. 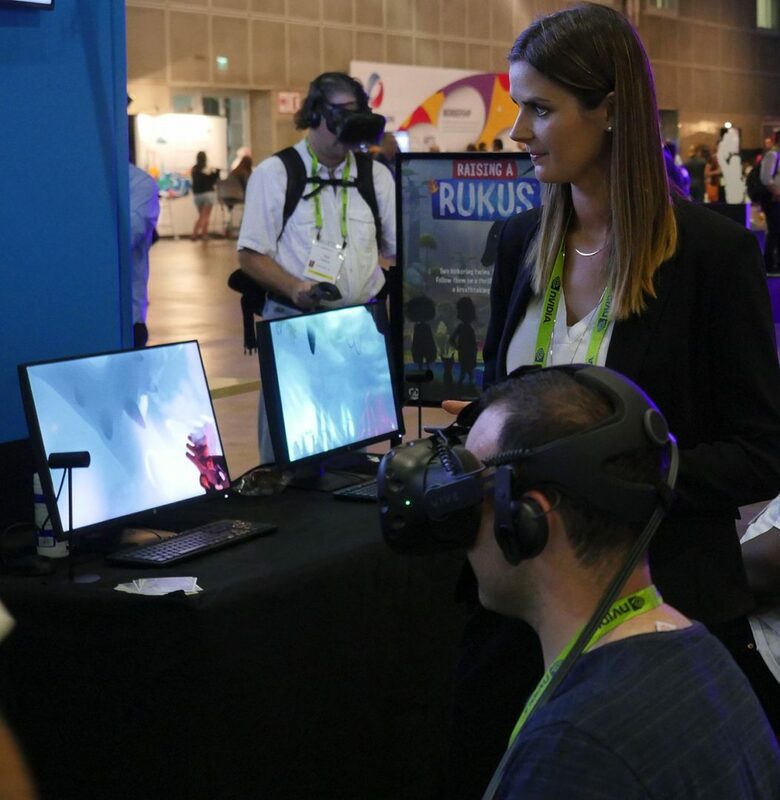 The Mars 2030 VR experience was enjoyed by attendees on the new HP Z VR Backpack as they experienced the current state of the collaborative project to design a city on Mars capable of supporting a million earthlings. 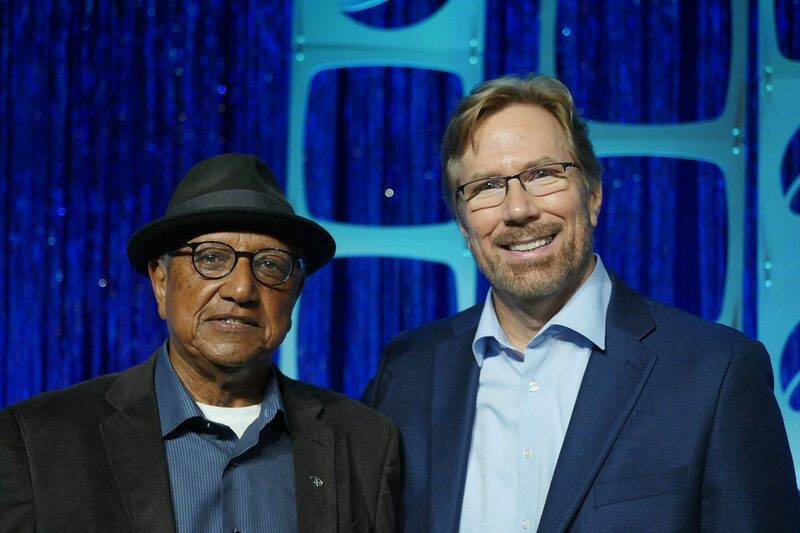 At SIGGRAPH 2017, Steve Waskul had the honor of interviewing Disney Legend Floyd Norman for the conference Keynote. The 50 minute long interview revealed a number of interesting glimpses into Floyd’s life and career which began back in 1956 when he was hired at Walt Disney Studios. 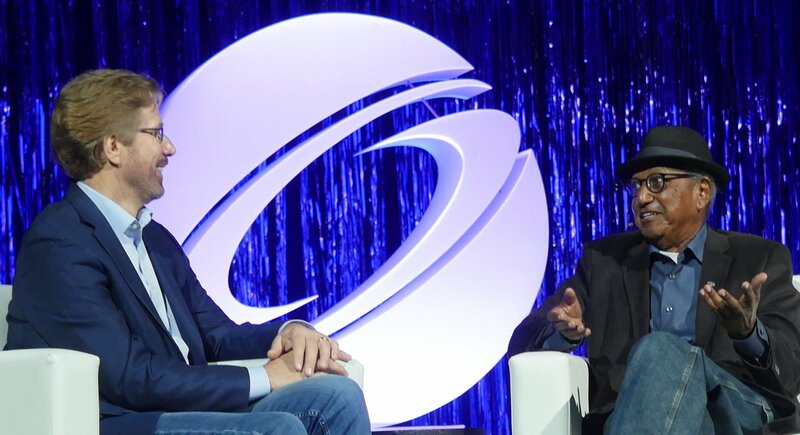 Waskul Entertainment has worked with tech industry leaders for more than two decades designing, integrating and supporting hundreds of complex, cutting-edge solutions at major events in North America, Europe and Asia. With the ability to harness the latest technologies and workflows and the scalability to handle projects as small as a simple “Studio-in-a- Box” solution or as large as creating and managing a multi-location IP broadcast capability for large enterprise customers, we can help your organization succeed though improved communications. Put our experience to work for you today. Please use the form at the bottom of the page to contact us so we can set up a time to discuss your goals and objectives. 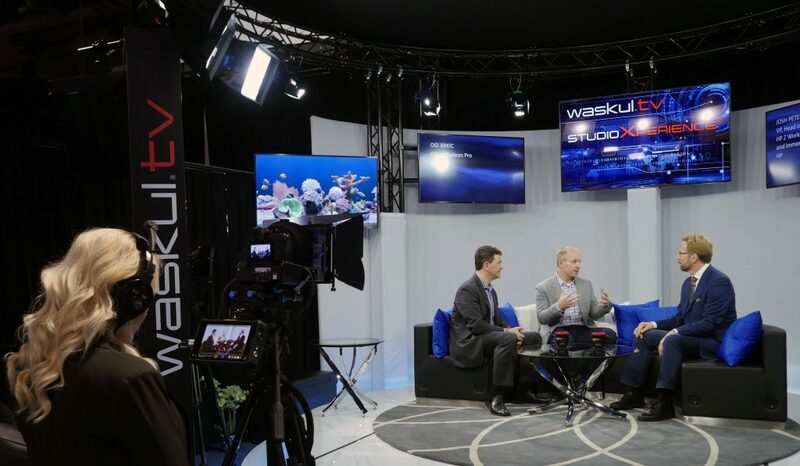 The Waskul.TV production team utilized 4K, 1080p and IP workflows in StudioXperience this year at NAB Show. This approached helped StudioXperience guests discover new possibilities and approaches for their content creation, management and distribution needs. The feedback we received was fantastic and we greatly appreciate all the positive comments at the show. The acquisition of quality imagery is critical to film makers and broadcasters alike. We believe that quality imagery begins with lighting and how it is used on set. For StudioXperience, we use Nila’s Zaila Lights with Chimera Lightbanks on the main and key lights. The Zalias are premium LED lights that feature a very small form factor that can operate on both AC and DC power. We love the small size which makes them great for traveling. The Chimera Video Pro XS Lightbanks help enlarge and soften the lighting. Their effect is maximized by using wide holographic lenses on the Zaila’s. Chimera offers optional grids, honeycombs and barn doors to help with specific light control. While there are a large number of 4K studio cameras and broadcast lenses available, our team decided to showcase DSLR cameras for our live production. Panasonic GH4’s were chosen and paired with Olympus prime lenses. The 4K signal from each of the GH4’s was sent via HDMI cable to Atomos Shogun Inferno HDR monitors / 4K 60p recorders where the data was recorded in 4K to OWC Mercury Extreme SSDs. 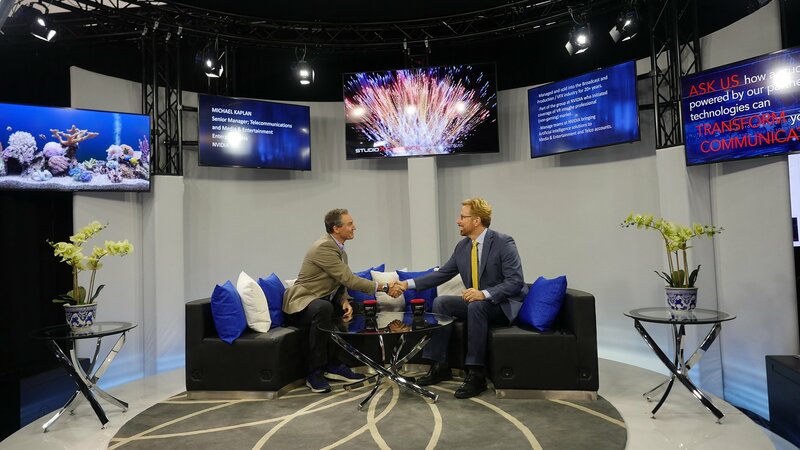 The Infernos did a great job of recording the 4K files but our team was particularly happy with the quality of the display, the extensive suite of scopes available and the focus peaking tool which was used throughout the production. The Infernos also provided down conversion to 1080p via their HD-SDI outputs. This was critical for our live production switching which included a 1080p signal from each of the cameras. 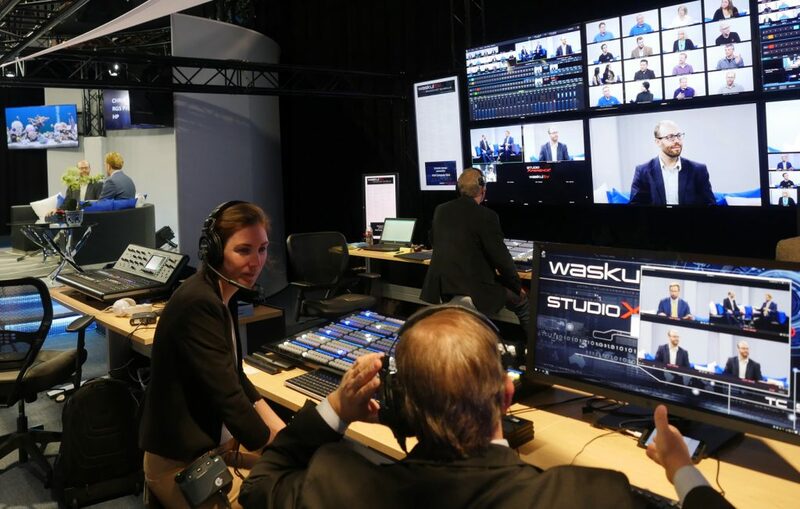 The live 1080p production streamed on the Waskul.TV site was powered by NewTek’s IP Series which provided our team with a fully interconnected production environment. During our live production this allowed our technical director to select screens / feeds from every camera and computer on our network. 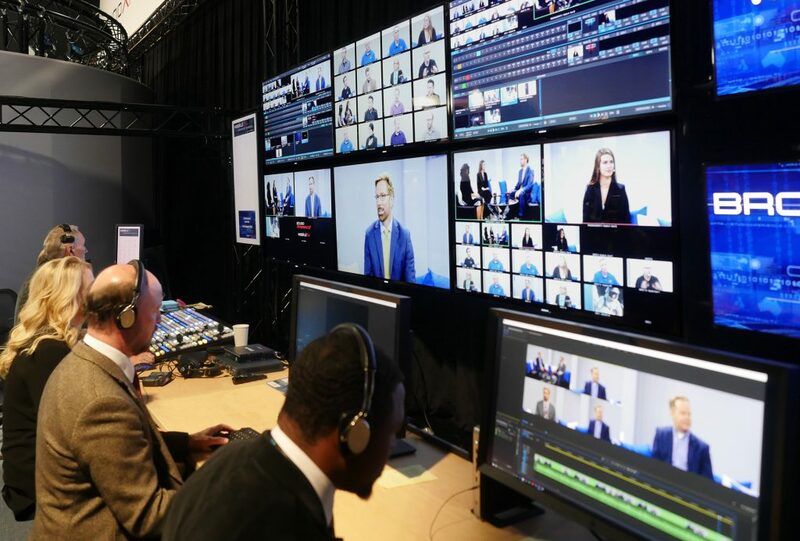 To simulate a larger network environment we also created 16 1080p IP streams that simulated four additional studios with live programming feeds of four cameras per studio. 1080p HD-SDI was used to bring the camera feeds from the live broadcast studio into the NewTek Video Mix Engine (VMC1, a true IP switcher) where they became program inputs along with all the IP sources available for switching on our network. The VMC1 provides four HD-SDI inputs on it’s back panel. Additional HD-SDI inputs were available via NewTek NC1 input modules. With up to 44 simultaneous input sources and 35 output signals over IP, the NewTek solution gave our team a lot of creative flexibility. To make 1080p archive copies of our work, we used NewTek’s IsoCorder™ Pro software running on a HP Z 840 Workstation. This solution handled the continuous background recording of all of our isolated camera feeds from the VMC1 along with selected NDI inputs and the main program out that we streamed live on Waskul.TV. This solution allowed us to capture 1080p broadcast-quality files that could be immediately used in any video editing application. To make sure we had the necessary bandwidth for our recordings, our team added two 10GbE ports to the HP Z840 workstation to allow it fast access to the network and to our shared storage repository. Fast, efficient storage for large data files that can be shared across both workflows is very important – particularly when recording live 1080p feeds from the live production while also moving the large 4K files required for post production and performing multi-camera 4K editing simultaneously. 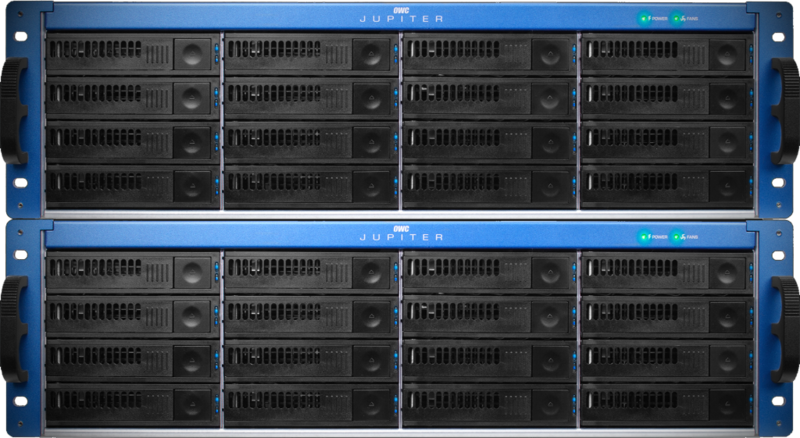 For our mission-critical unified storage needs, our team went with two OWC Jupiter Callisto shared storage servers. With their dual 10GbE ports they had the connectivity and network bandwidth we needed allowing full 10 GbE access to / from any of the HP Z840 Workstations and NewTek VMC1s which also feature dual 10 GbE ports. The Intel Xeon E5 based Callistos were easy to manage via a web-based interface that allowed easy configuration of the systems. While we typically stream live programs today at 1080p, our editorial and post production work is all done in 4K. The 4K workflow begins at each camera where we output 4K to the Atomos Shogun Inferno HDR monitors / 4K 60p recorders. 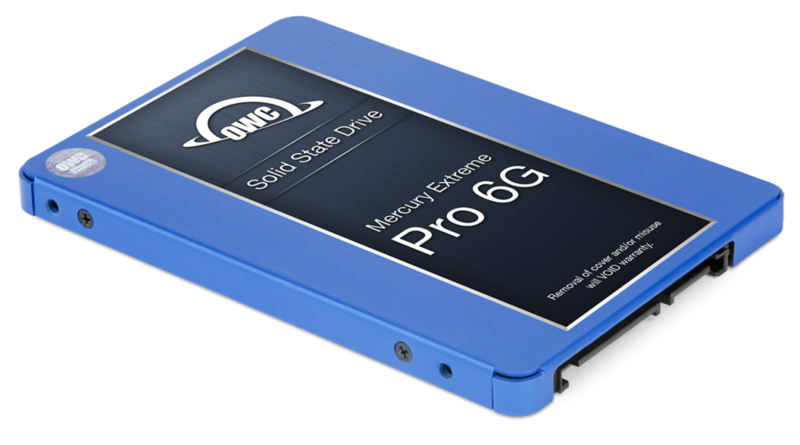 Each Inferno records each interview on an OWC Mercury Extreme SSD and then the files are transferred to our shared storage. 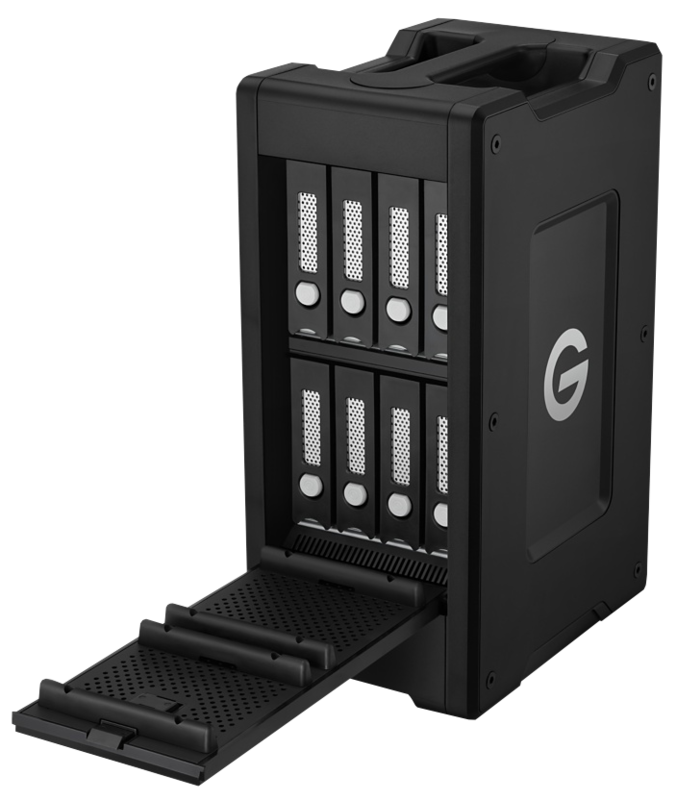 The G-Technologies G|Speed Shuttle XL made it easy for our team to transfer the large 4K camera files to shared storage. To make the transfer process easy, we take our SSDs and put them into G-Technology ev Series Bay Adapters so they can be used with G-Technologies G|Speed Shuttle XL storage solutions which now include Thunderbolt™ 3 connectivity. The Shuttle XL systems have 8 bays each so it provides a lot of possibilities. A typical setup would have 6 HDDs in each Shuttle XL configured as a RAID 5 array with two empty drive bays for removable media (SSDs for example in the ev Series Bay Adapters). For our setup our Shuttle XLs are connected via Thunderbolt to a HP Z840 Worksation that is used as a high-performance transfer / recording station. After each interview, our team removes the adapters from the Atomos Shogun Infernos and inserts them into the Shuttle XL storage systems. The files can then be transferred from the SSDs to the local storage in the Shuttle XL or directly to the shared storage repository where the files can be accessed by all the systems on the 10 GbE network. One of the things we love about the HP Z Workstations is their reliability. We’ve shipped them throughout the USA and Europe for events and they have held up beautifully. To add flexibility and security, we’ve added HP thin clients to our workflow. 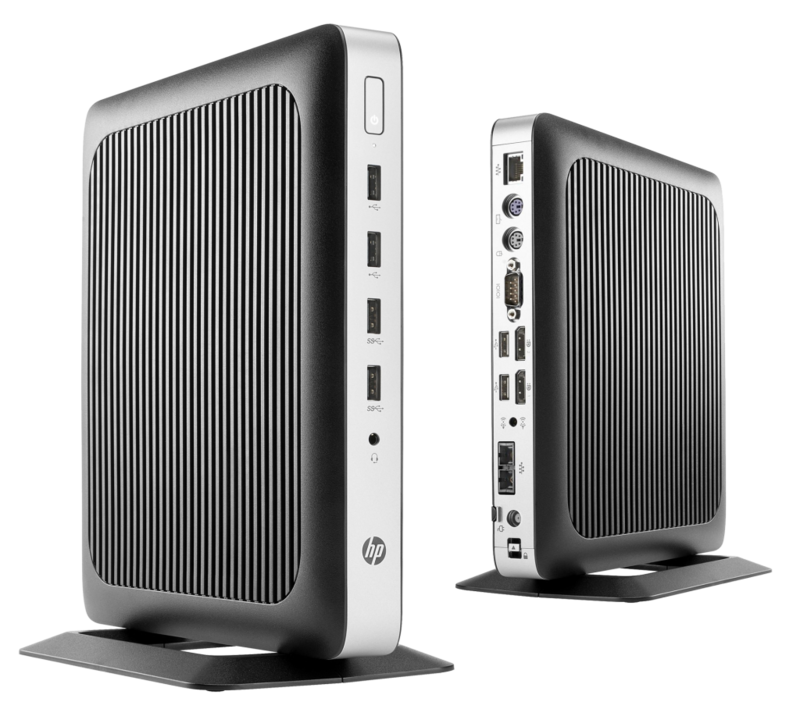 The thin clients are used with HP’s Remote Graphics Software or RGS to remotely access our HP Z Workstations. This allows us to consolidate our workstations into a “data-center” style environment and to free up valuable space and to reduce noise and heat in our Broadcast Control Center. 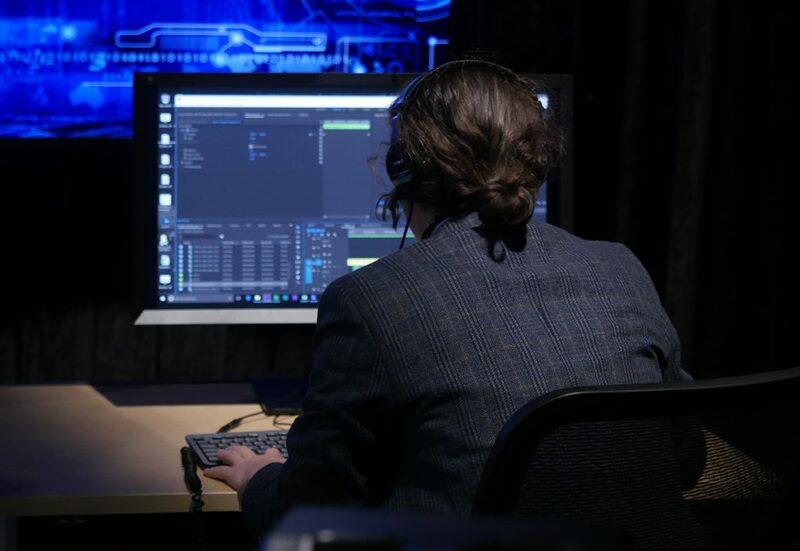 By outfitting each desk in our Broadcast Control Center with the thin clients, each operator has the option of using any of the workstations remotely or of collaborating with another artist on the same workstation. Because RGS does such a great job of sending the workstations screens to the thin clients and the mouse/keyboard/tablet/pen inputs of the thin clients back to the workstations, our artists get the same experience they would have if the workstation was at their desk. And, each t630 thin client can power up to two UHD/4K displays with its integrated AMD Radeon graphics engine. One very important part of any production workflow is color accuracy across the pipeline. In our productions, we’ve relied on HP DreamColor monitors for years. 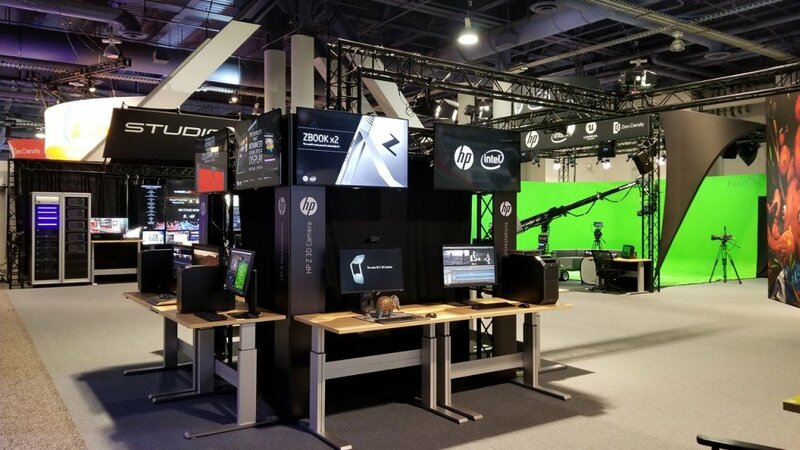 At the 2017 NAB Show our Broadcast Control Center team had the pleasure of being among the first to use HP’s new DreamColor Z31x Studio Display in a live broadcast environment. This is a true Cinema 4K display for PCs and Mac computers with color-critical accuracy. It comes with a lot of great new features including the ability to automatically calibrate itself using a built-in colorimeter and to automatically turn itself on based upon your schedule so it is warmed up prior to work beginning each day. Our team loved the new DreamColor displays and the response from attendees at the show was equally enthusiastic. Team communications are critical to the success of StudioXperience which often appears at events with challenging RF environments due to the number of other wireless devices in close proximity. Our production team needs a communications system that can excel in these complicated environments. That’s why we appreciate the work Clear-Com puts into the design of it’s products and why we rely on their FreeSpeak II digital intercom system for all our productions. Our main communications system includes a FreeSpeak II base station, 10 FreeSpeak II wireless beltpacks, three FreeSpeak II transceiver antennas, a FreeSpeak II splitter and Clear-Com headsets. This solution has consistently met our demands for high quality audio, reliability and low latency while giving us the flexibility to scale the system based on our broadcast environment. One of the important missions of StudioXperience is to allow our guests to get up close and personal with the latest technologies and to interact directly with the people creating the tools that we utilize in our production and post production workflows. GPUs are incredibly important to the work of media and entertainment professionals. 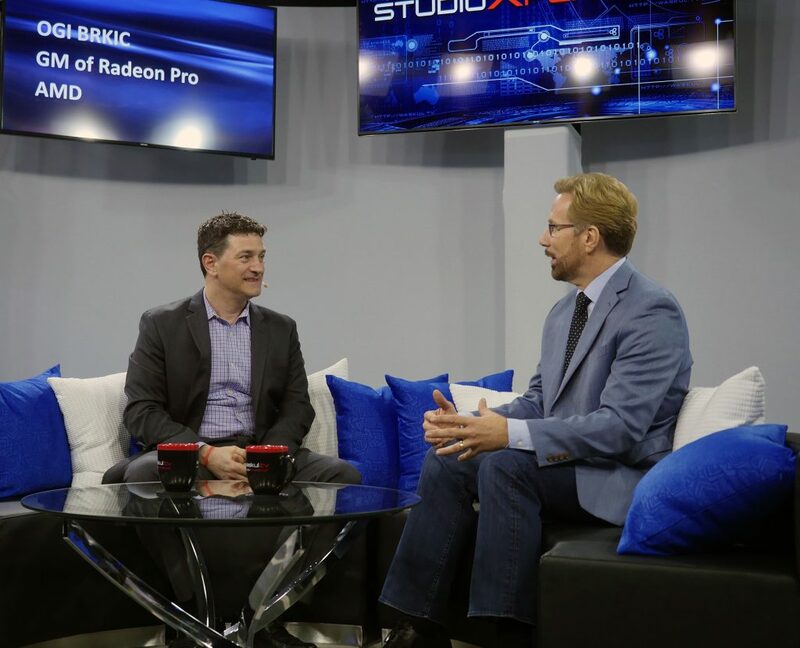 In the StudioXperience Broadcast Control Center, Radeon™ Pro GPUs were used in our HP Z840 Workstations for graphics production and 4K multi-camera editorial. 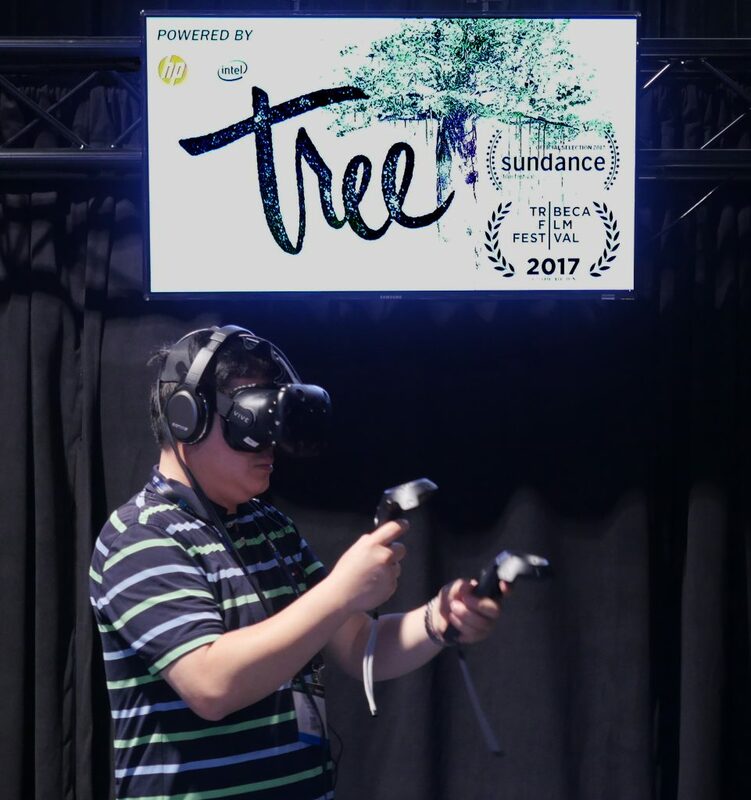 A special attraction in StudioXperience at the 2017 NAB Show was Microdose VR’s immersive VR experience Tree powered by HP Z Workstations with Intel® Xeon® processors. 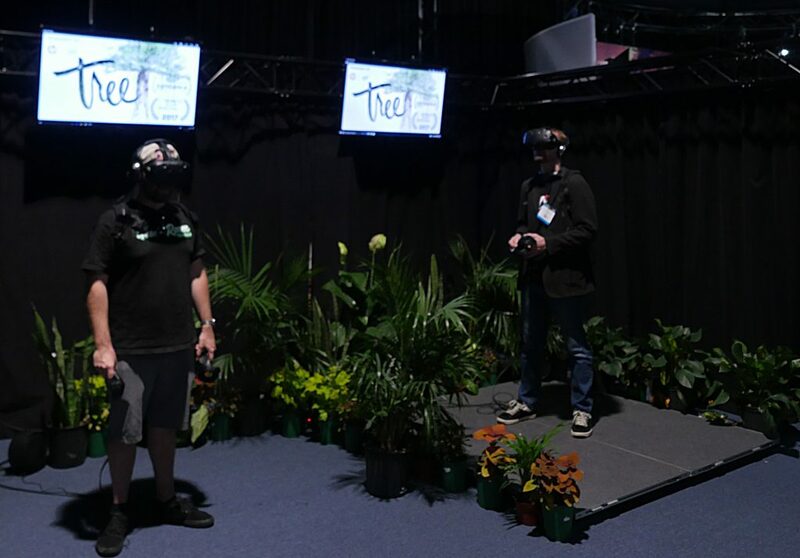 Tree combines art, music and dance into a real-time virtual reality gaming experience, defining a new medium never before possible as it turns viewers into a tree in a rainforest. StudioXperience guests used hand controllers and doned a SubPac, a wearable physical sound system that vibrates. During the experience, participants were exposed to soil and moss, rainforest, wind and fire as they experienced growing from a seedling to a full-grown tree. This featured attaction was powered by HP’s OMEN X VR gaming backpack. Waskul.TV is your connection to artists, visionaries, technologists and industry leaders who are changing the way we create, manage, distribute and enjoy a wide range of content and entertaining experiences. 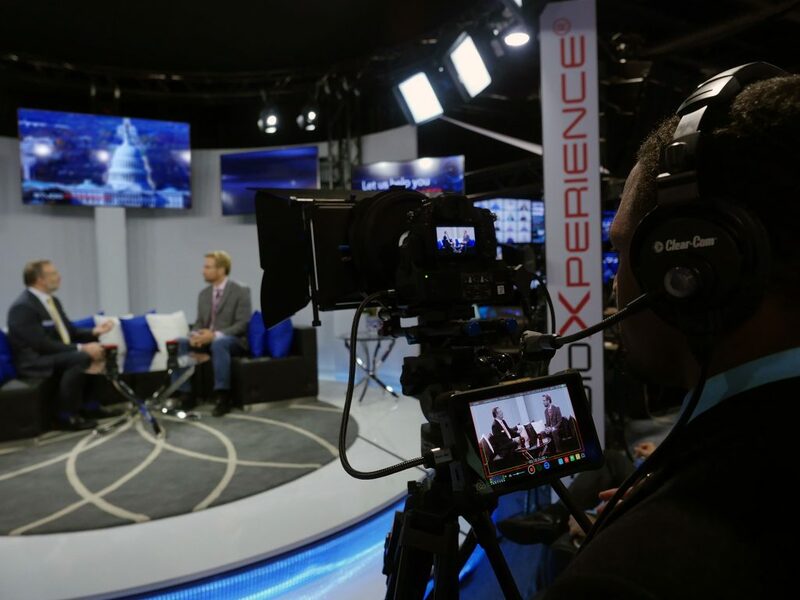 StudioXperience is our Broadcast Studio that makes appearances at a wide range of live events to facilitate the Waskul.TV educational mission and to showcase the technologies we utilize in our work to event attendees. We hope our efforts will inspire you in your own endeavors.